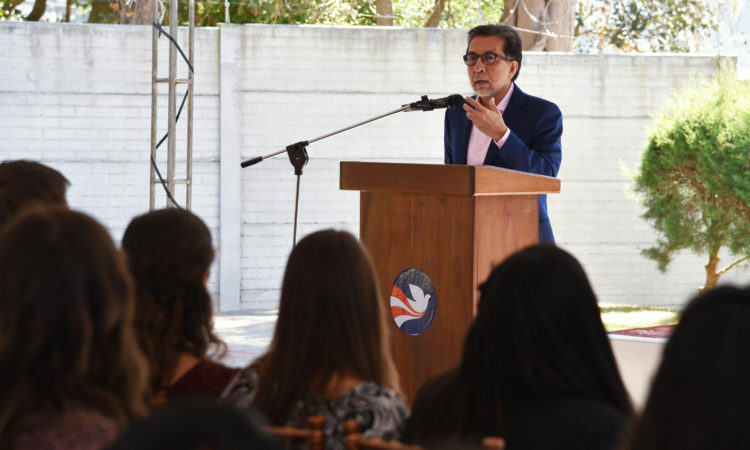 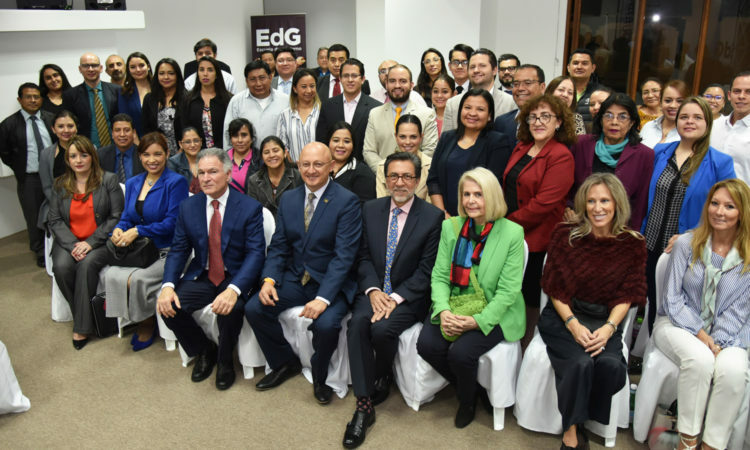 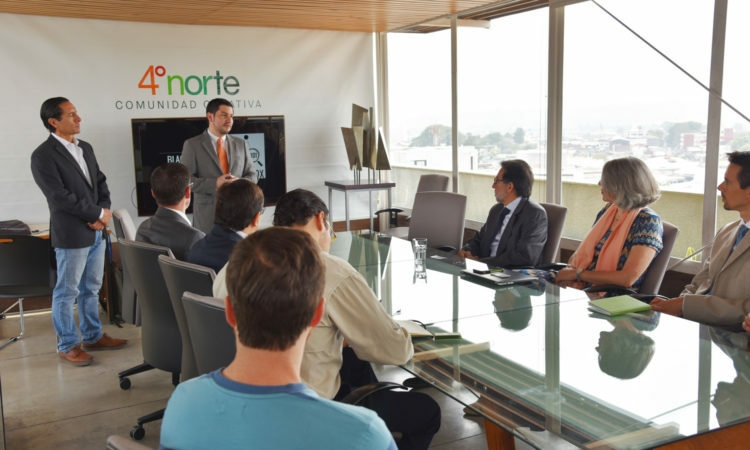 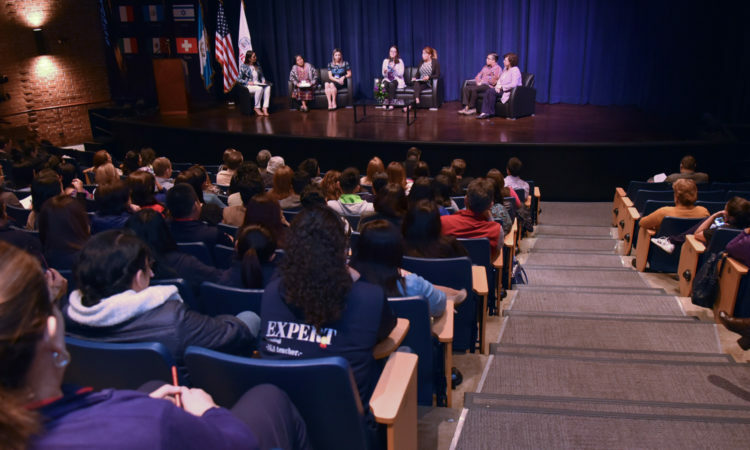 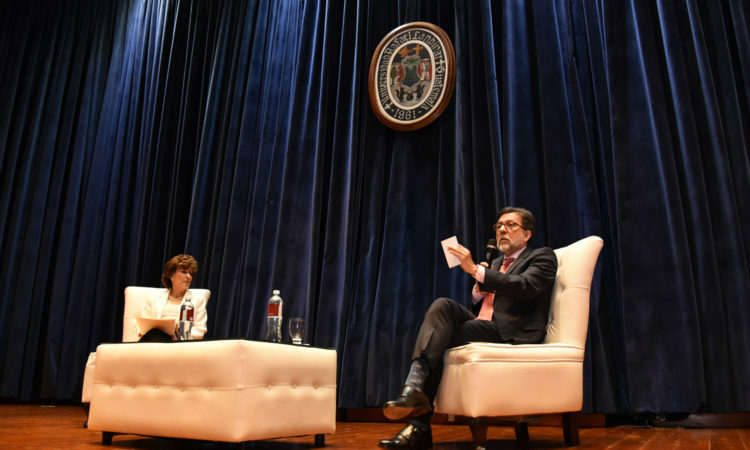 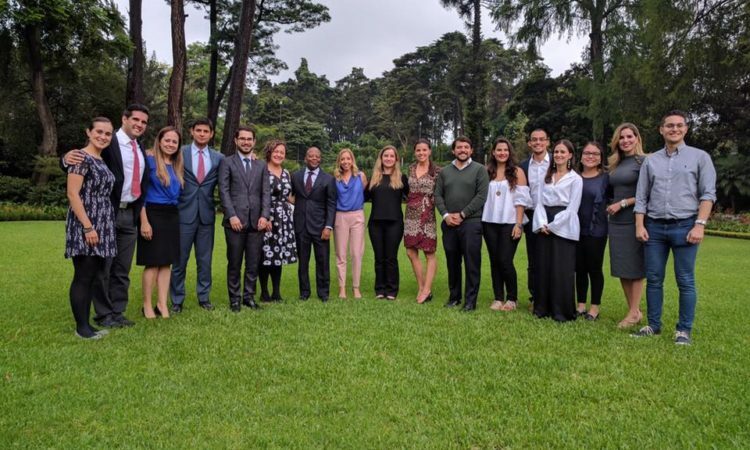 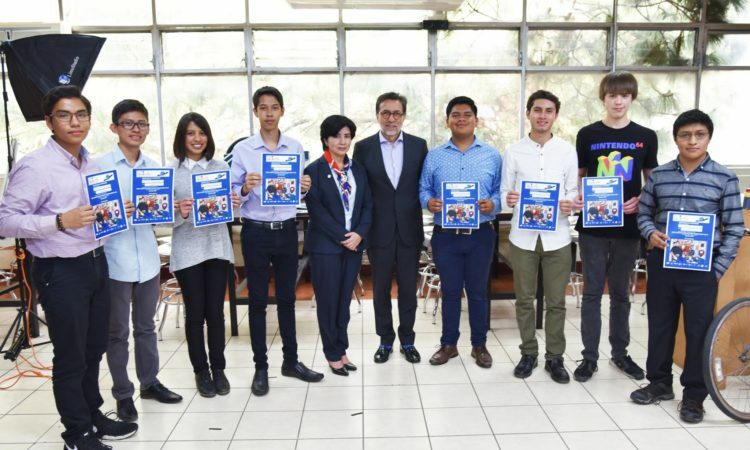 Ambassador Luis Arreaga visited the School of Government, where he spoke to the graduate students in Public Management and Leadership about the importance of a professional and ethical civil service. 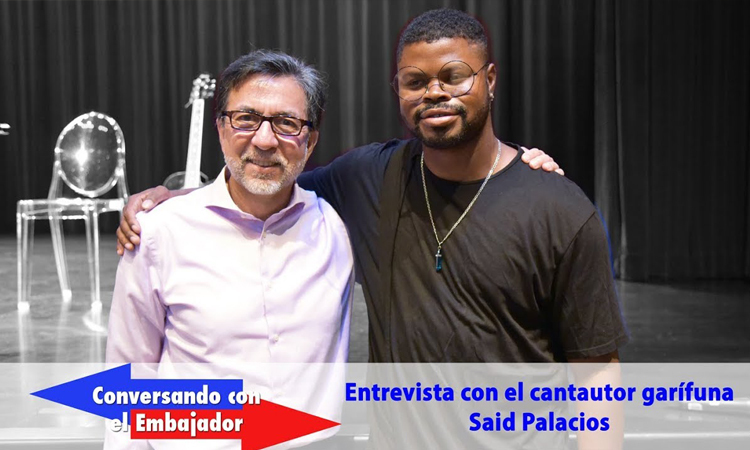 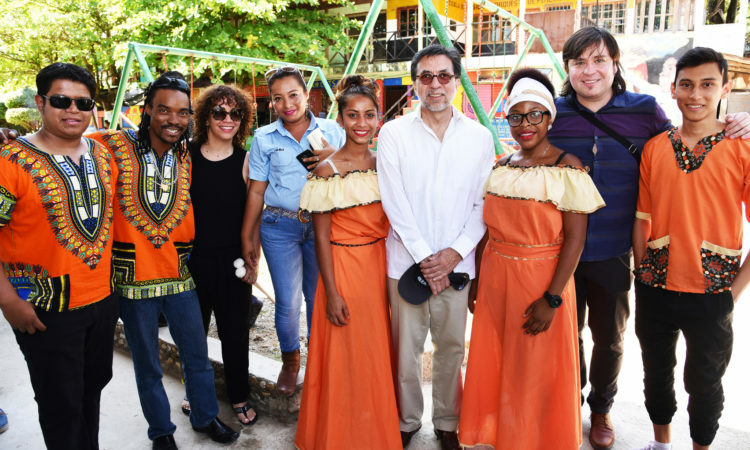 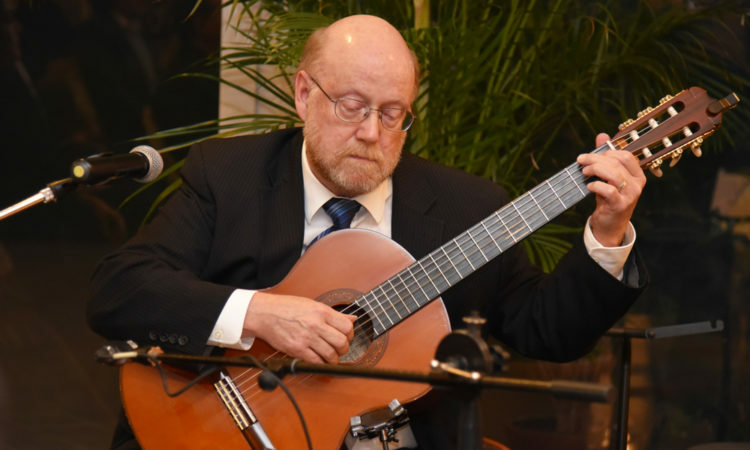 As part of Black History Month, Ambassador Luis E. Arreaga had the opportunity to meet and talk with the Garífuna singer-songwriter Said Palacios, who tells him about his musical career, the obstacles he has faced, and the pride of his Garífuna identity. 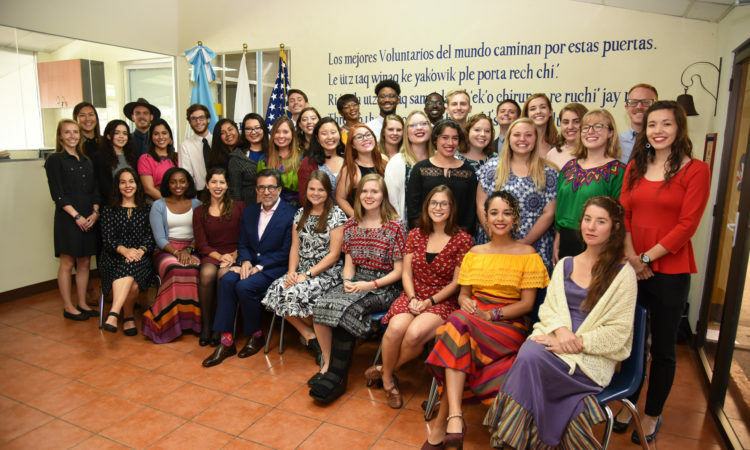 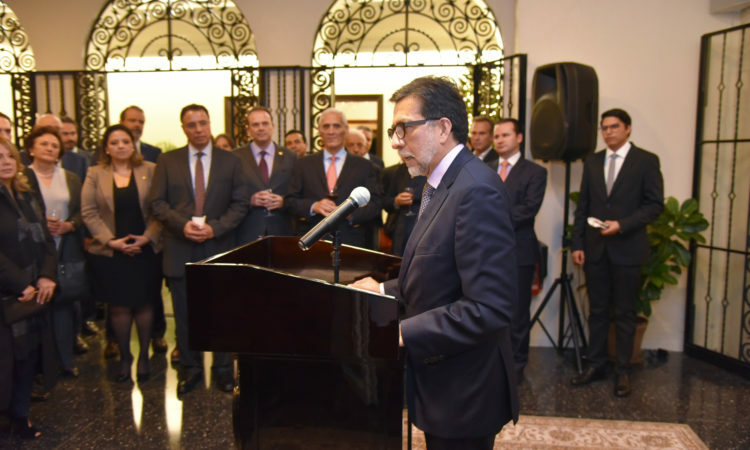 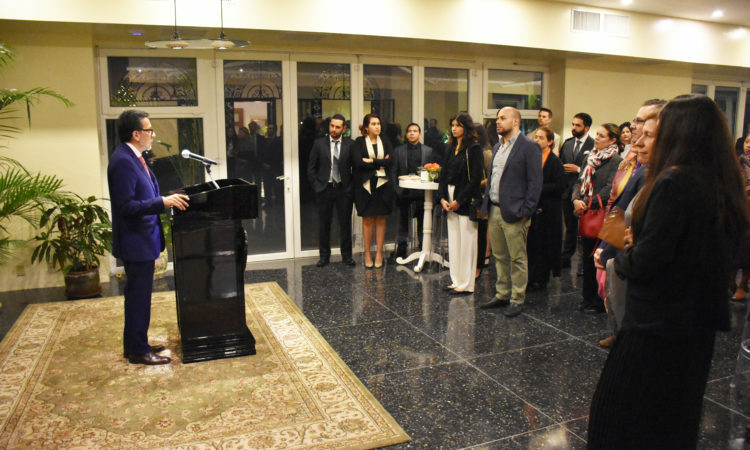 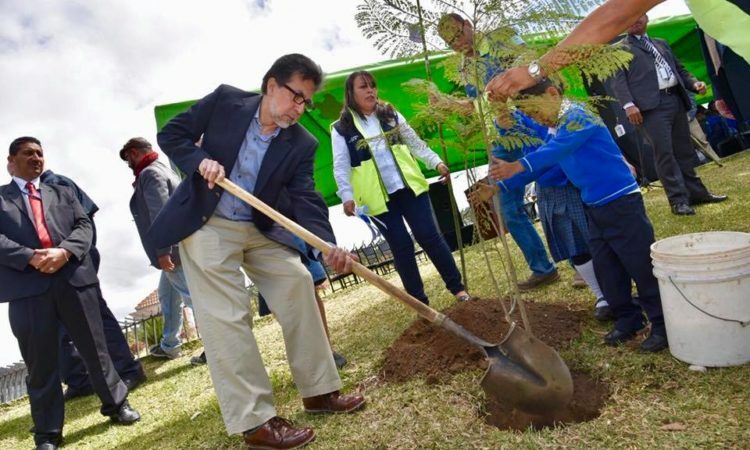 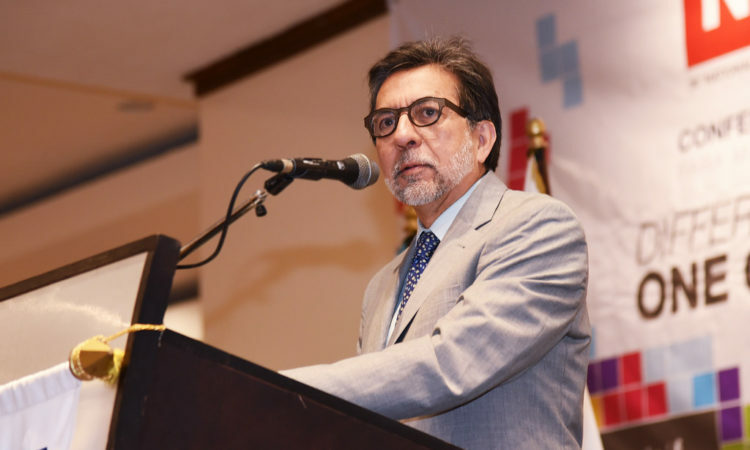 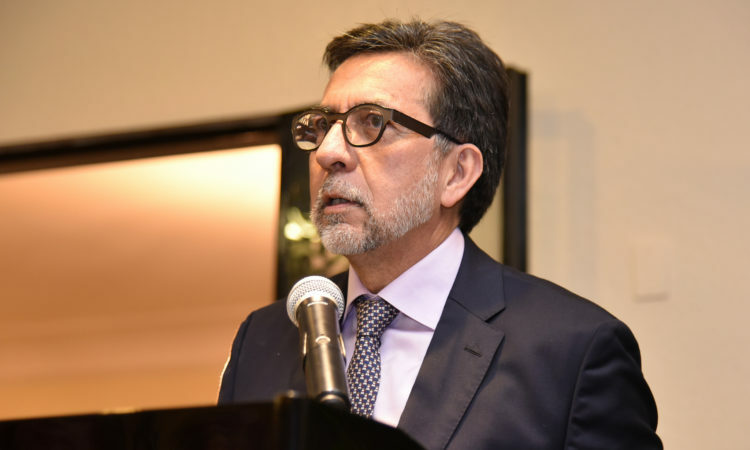 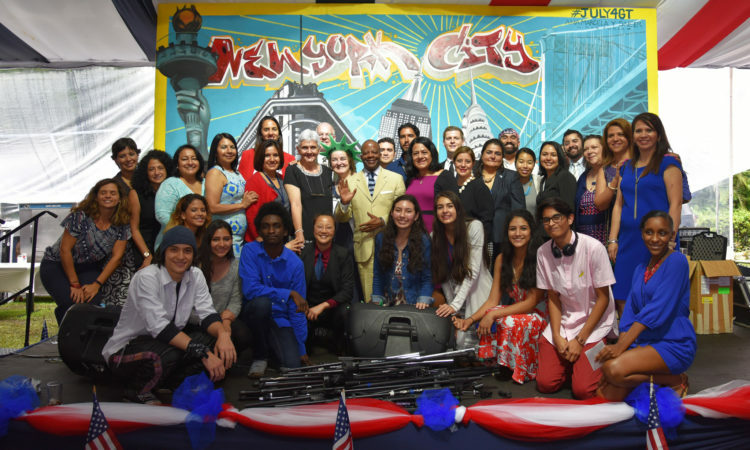 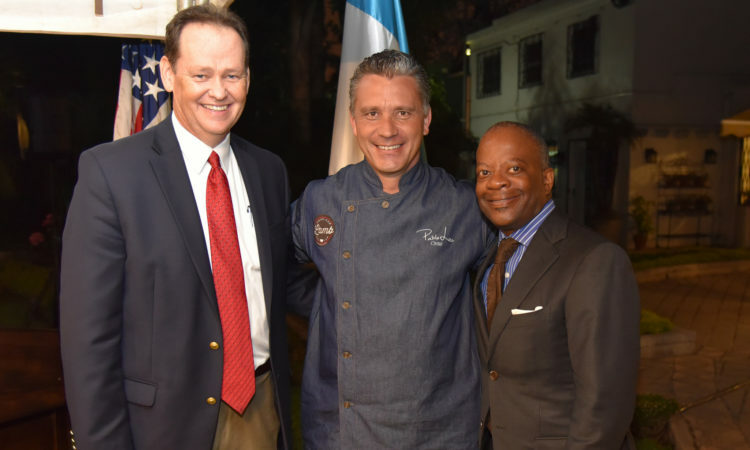 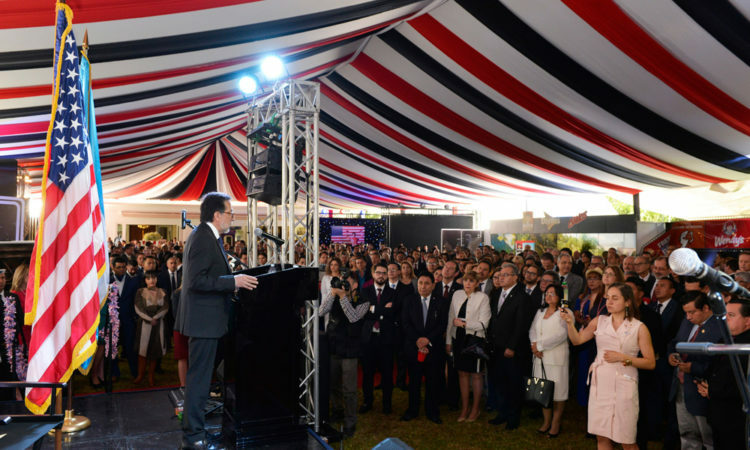 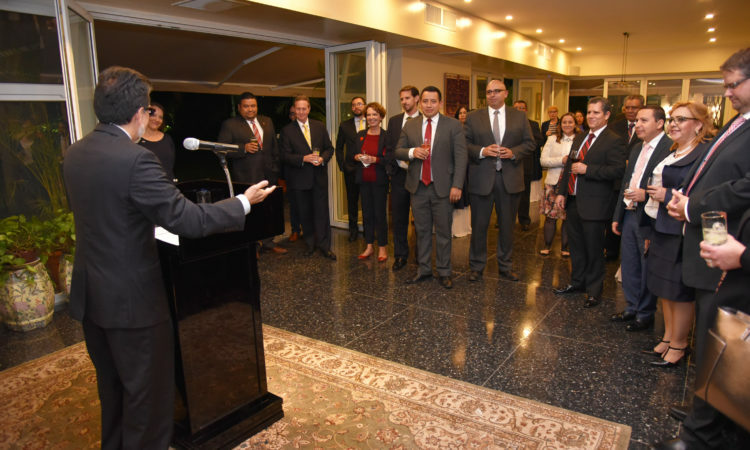 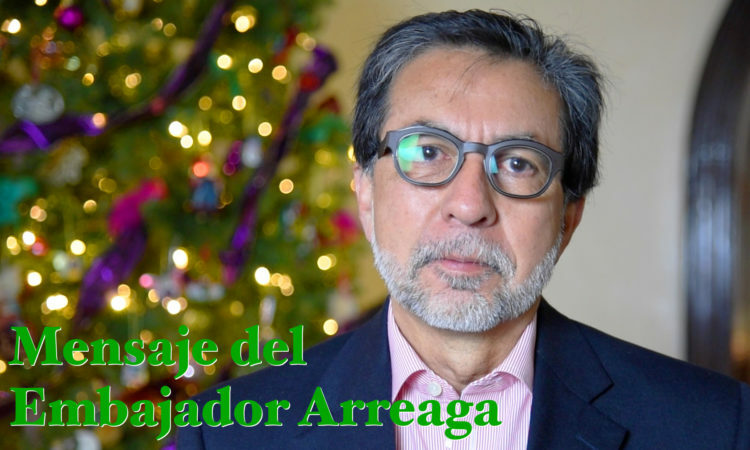 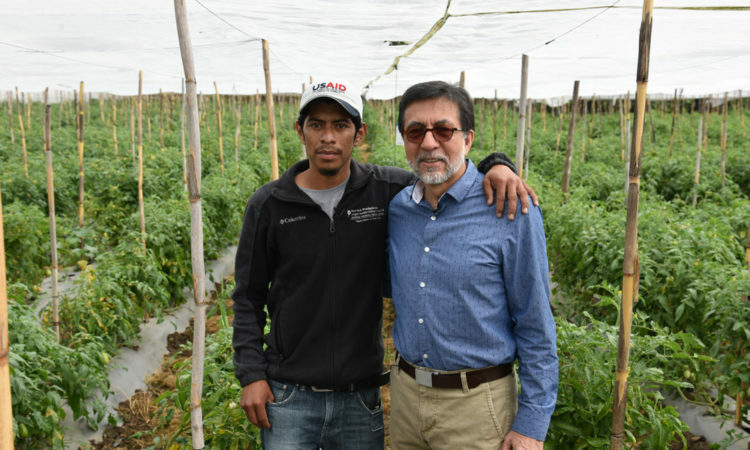 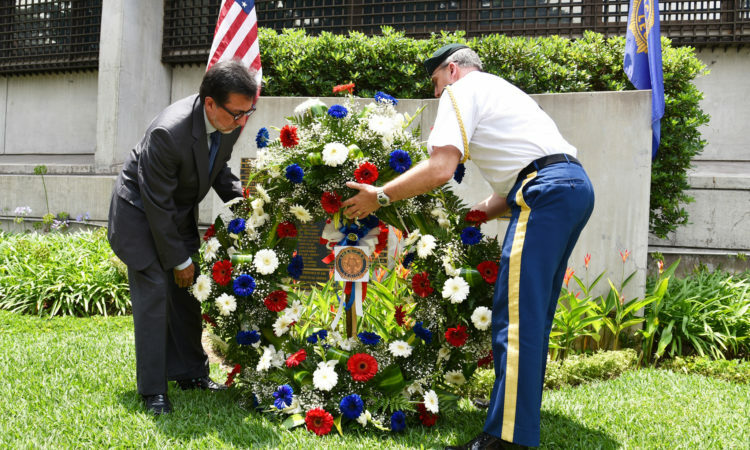 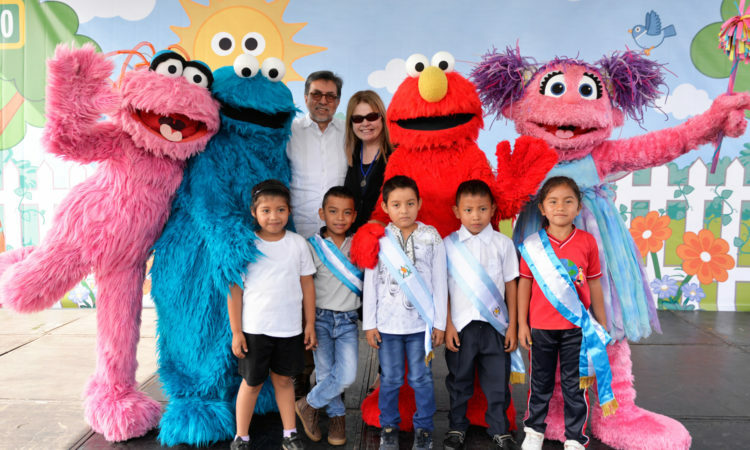 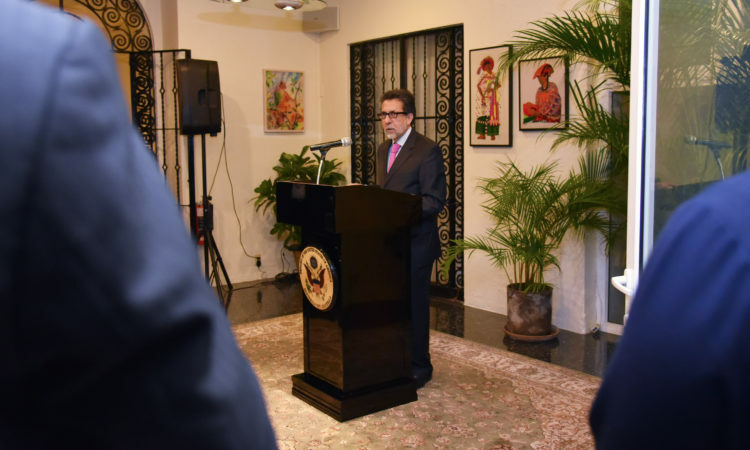 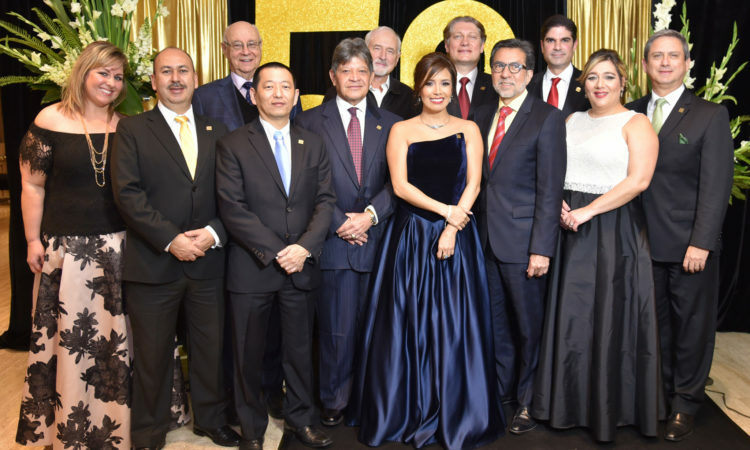 Ambassador Luis Arreaga’s end-of-year message. 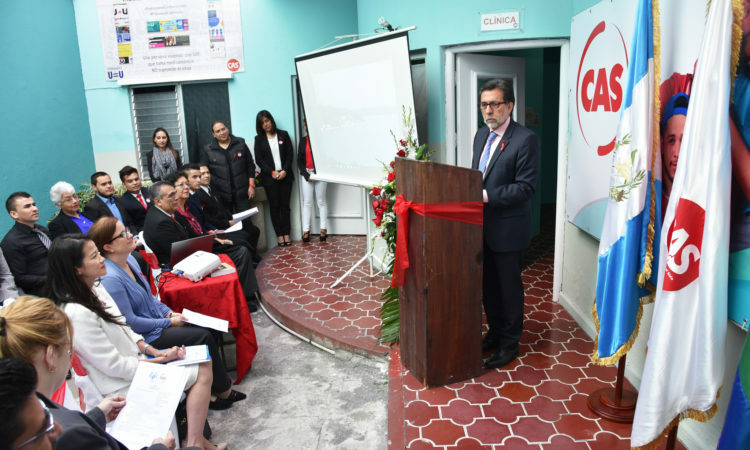 We are committed to combating Gender Violence. 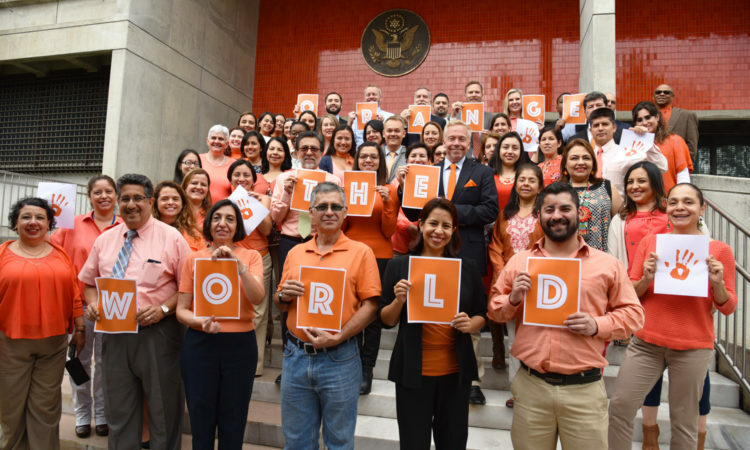 The prevention and response to violence against women and girls is a global challenge that forces us all to act: governments, individuals, the public and private sector and civil society. 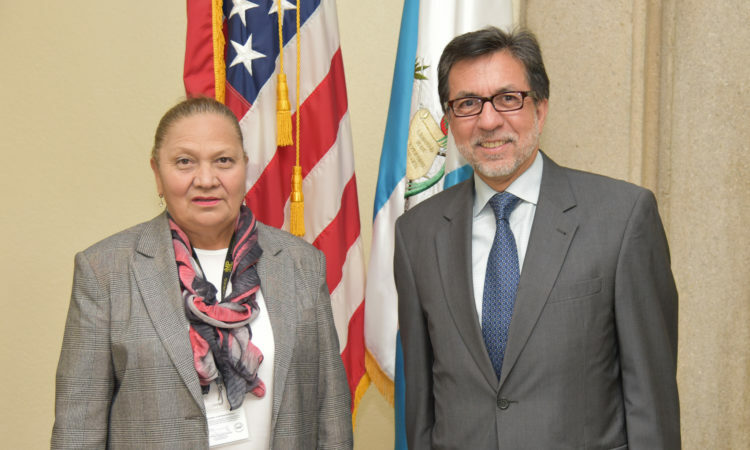 Ambassador Luis E. Arreaga met with Attorney General Consuelo Porras and delegates from the Public Ministry of Guatemala and the Embassy to discuss the support of the US Government to the Justice System and contribute to Prosperity, Citizen Security and Governance in Guatemala. 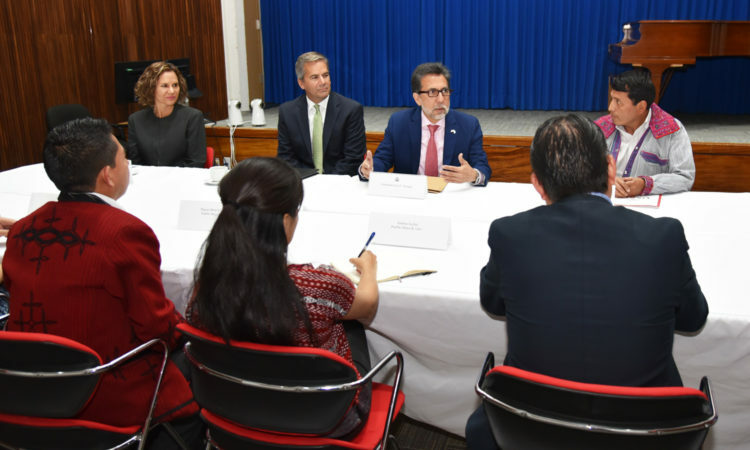 Ambassador Luis Arreaga met with Attorney General María Consuelo Porras and collaborators of the Guatemalan Public Ministry to discuss the opportunities for support between the US Government and the Government of Guatemala to strengthen the Justice System. 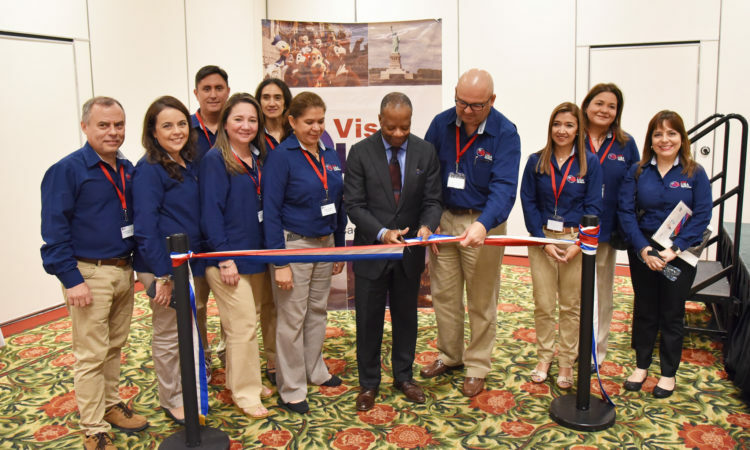 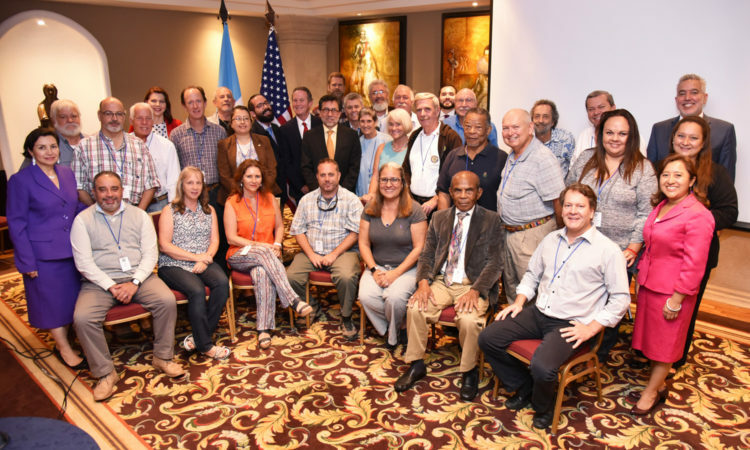 Ambassador Luis Arreaga met in Antigua with the American Wardens, to thank them for their volunteering and commitment to our country. 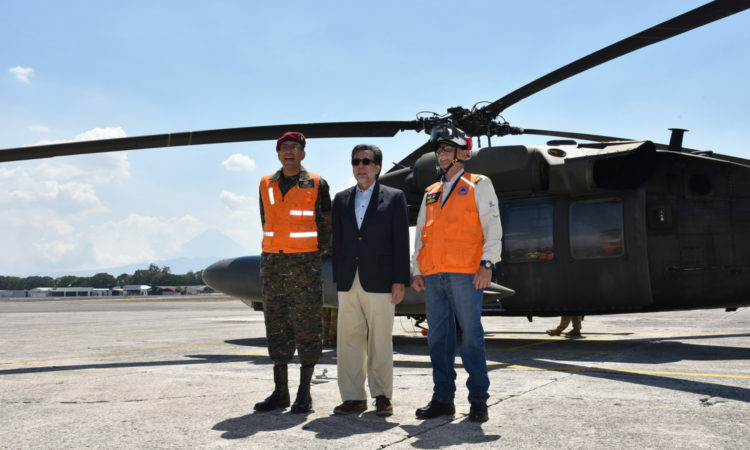 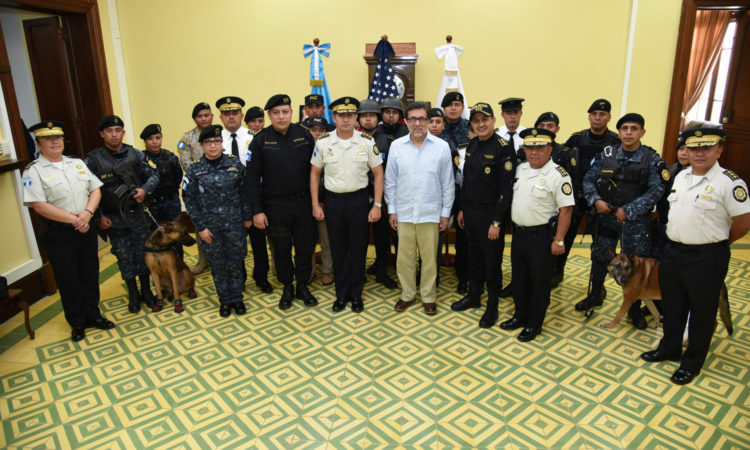 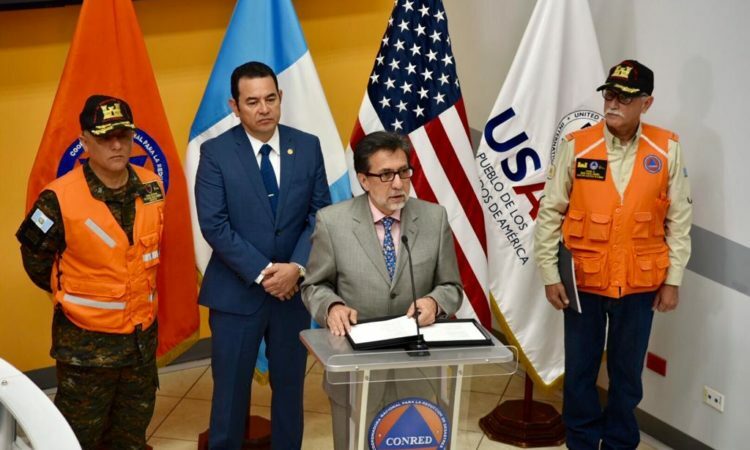 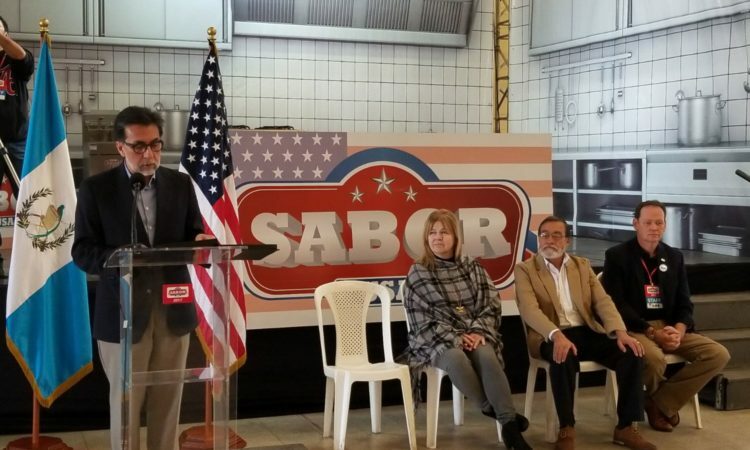 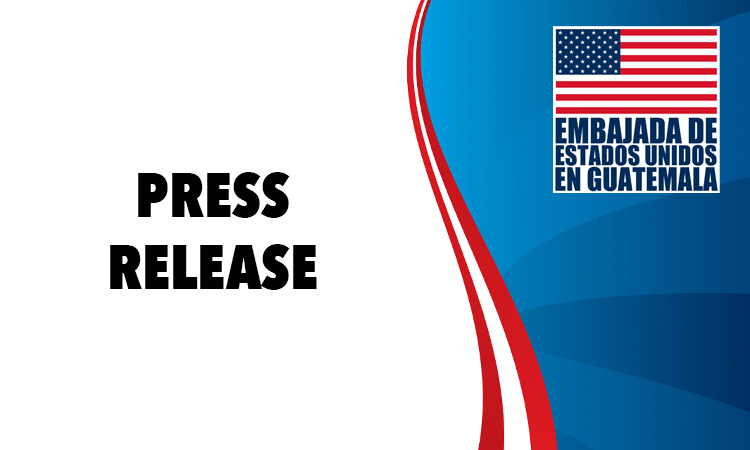 We thank PROATUR, DISETUR and Conred Guatemala for the support of our Wardens and contribute to the safety of US citizens in emergency situations. 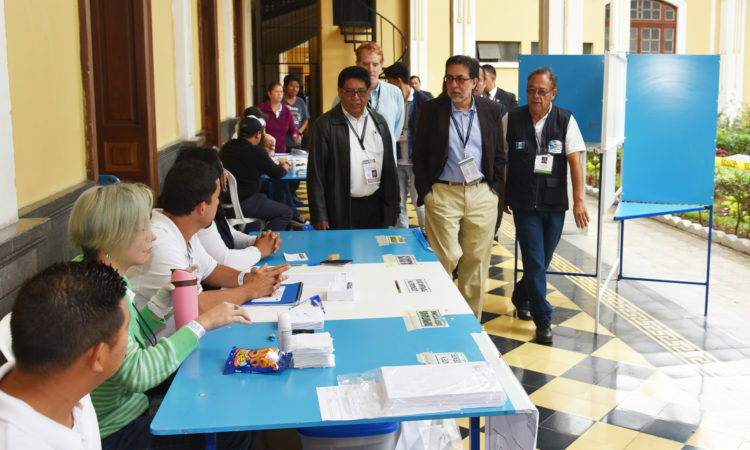 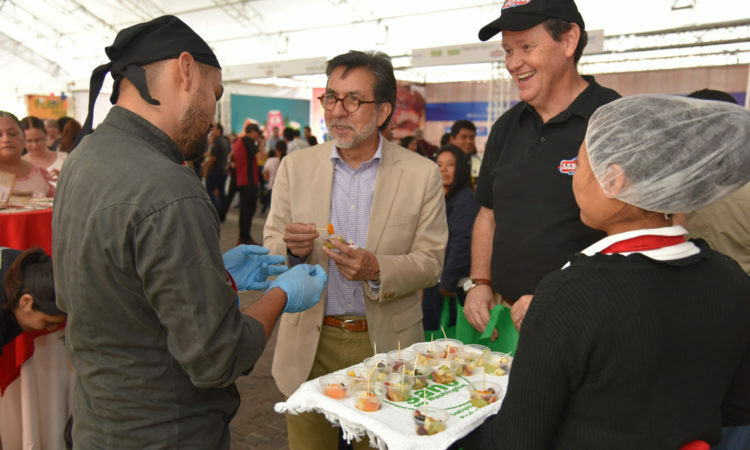 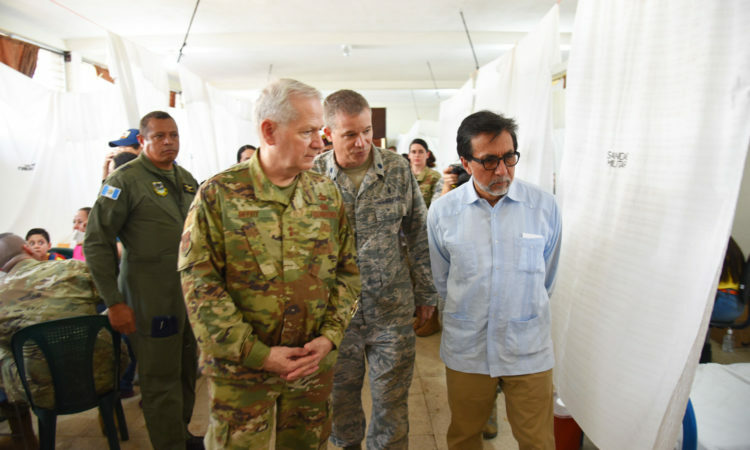 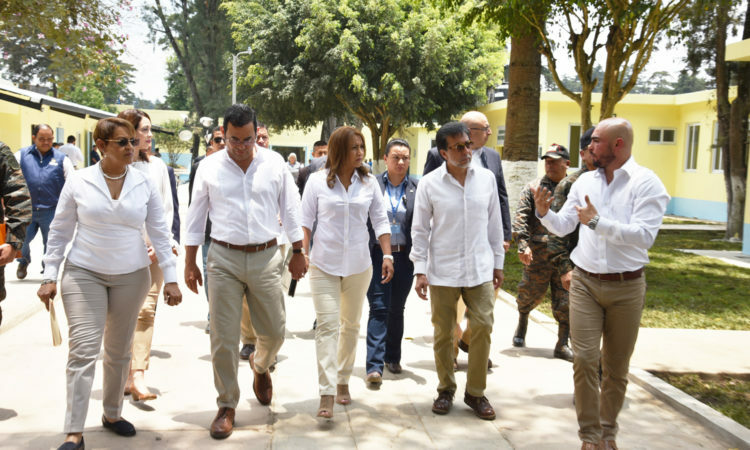 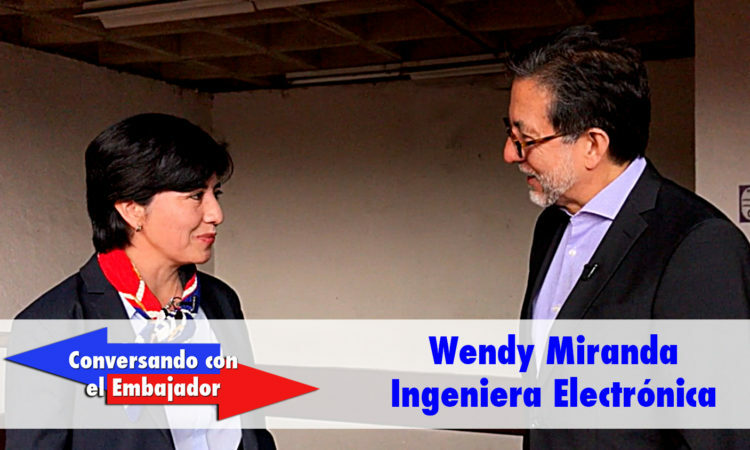 Ambassador Arreaga visited one of the voting centers as part of the international body that accompanied the Popular Consultation and to share with the Guatemalans on this important day. 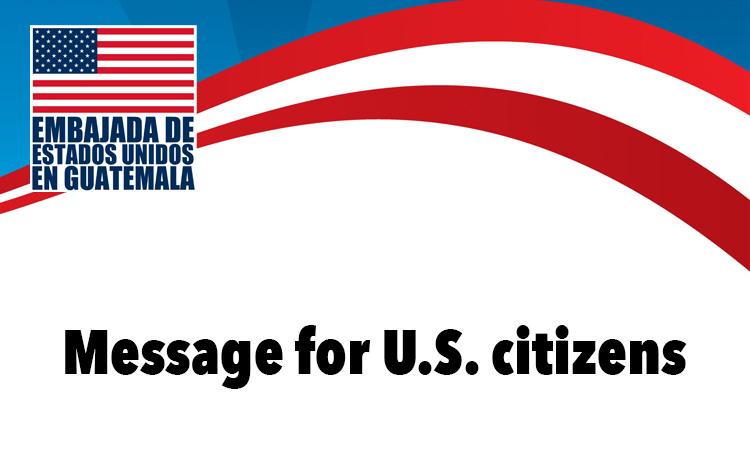 Active citizenship strengthens the country and raises the profile of democratic processes. 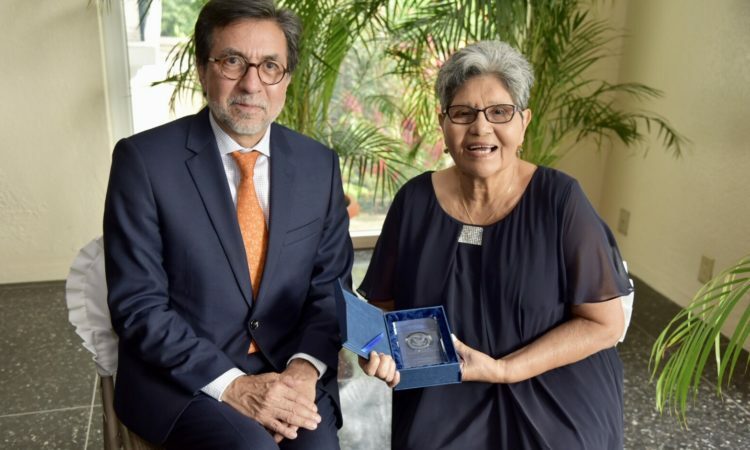 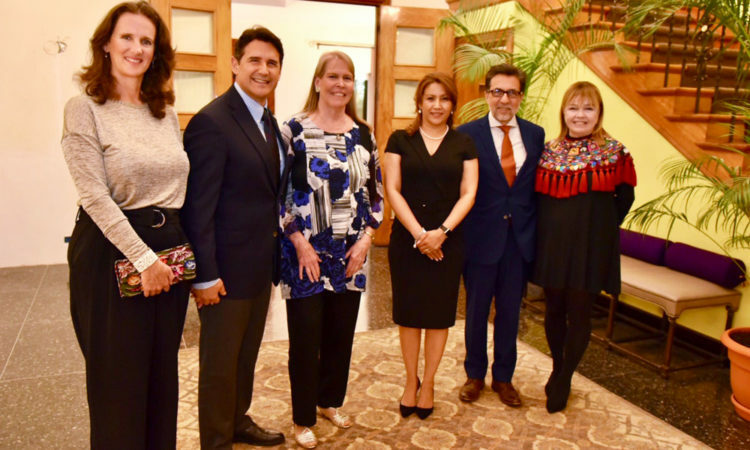 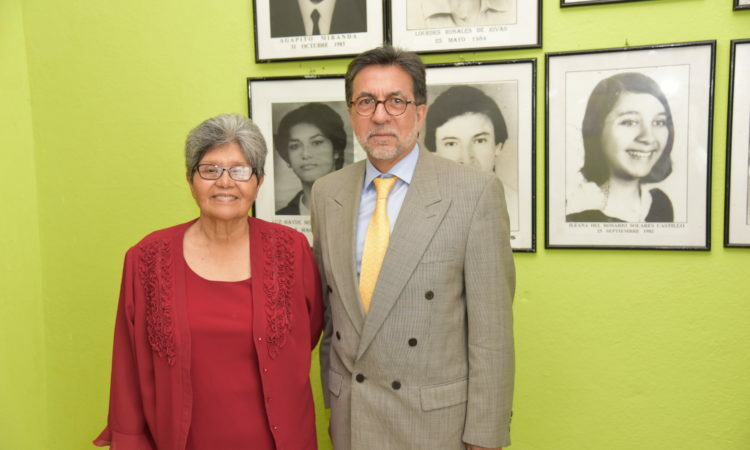 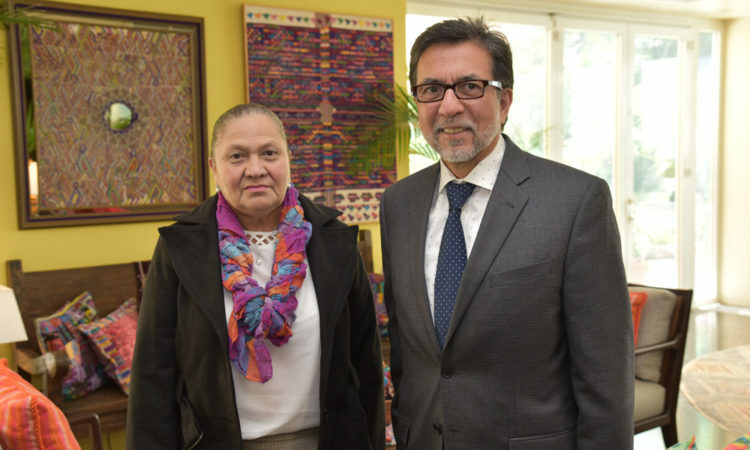 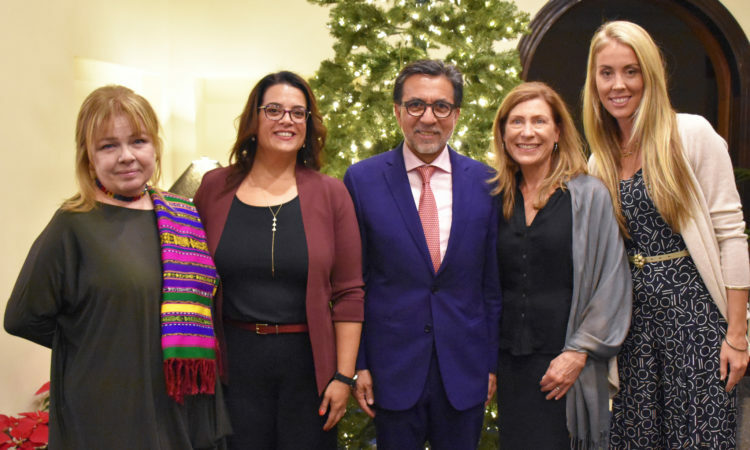 Ambassador Luis Arreaga met with Aura Elena Farfán, awarded as Woman of Courage by the U.S. Department of State, congratulated her, and urged her to continue working to inspire other women to raise their voices in defense of Human Rights, peace, and justice in Guatemala. 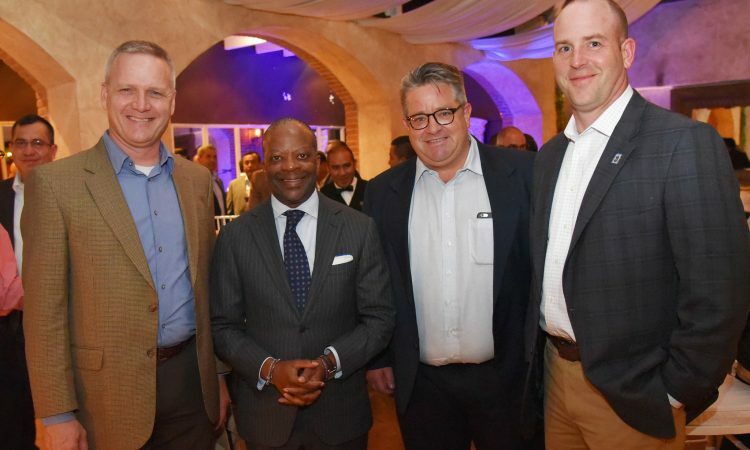 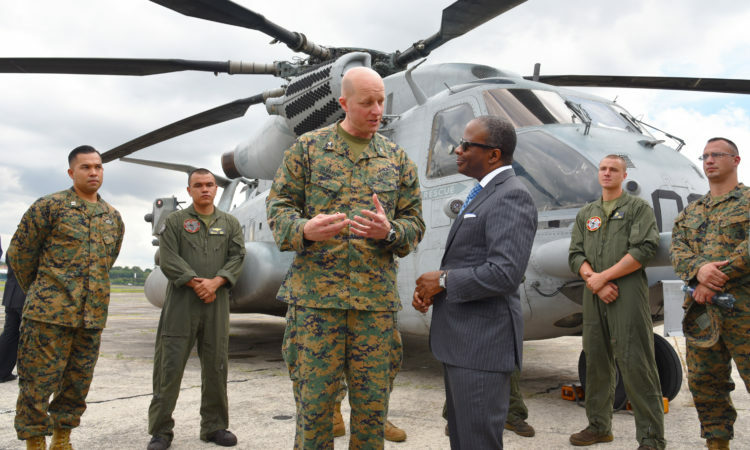 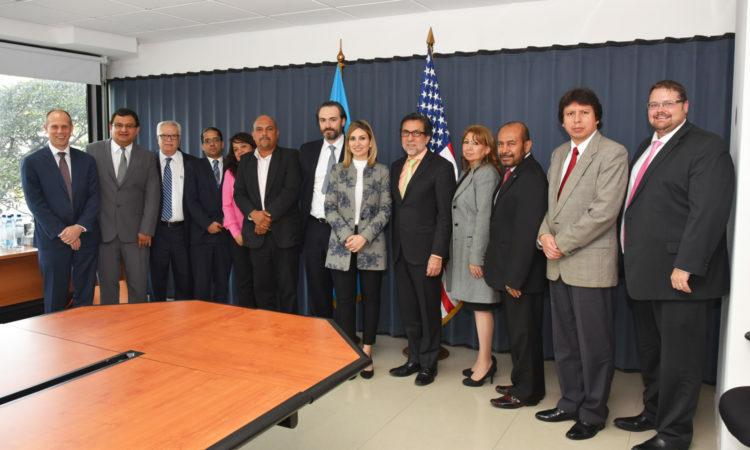 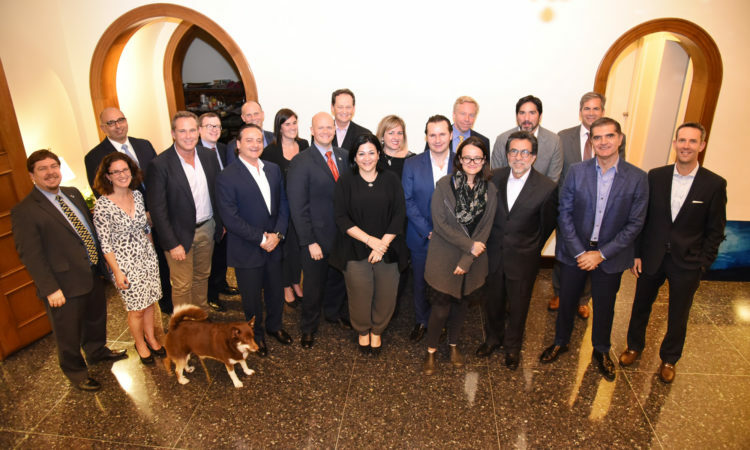 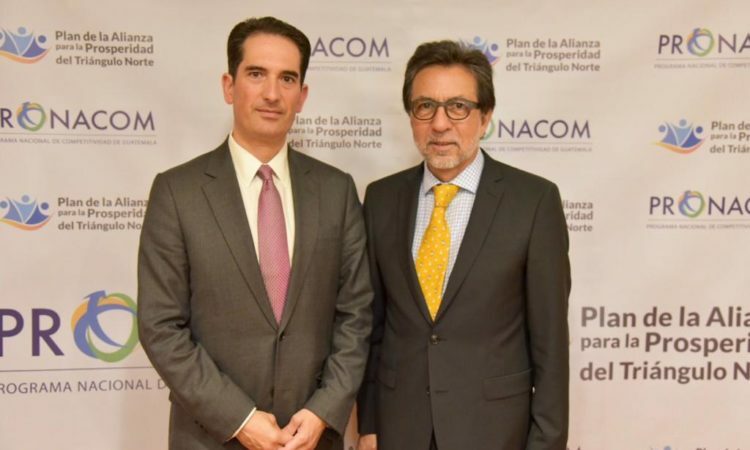 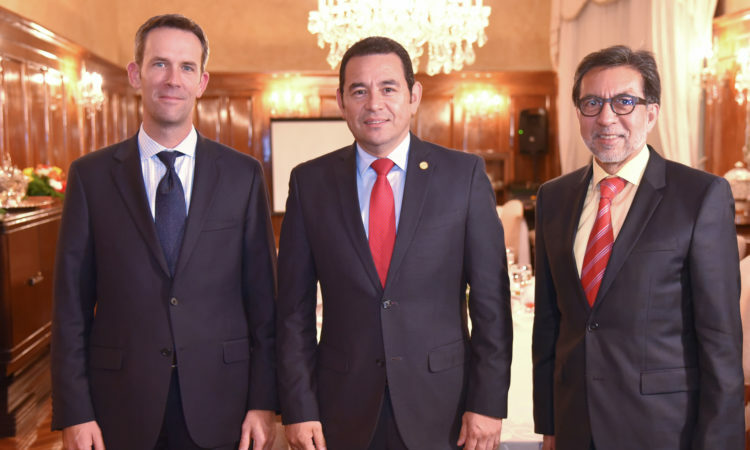 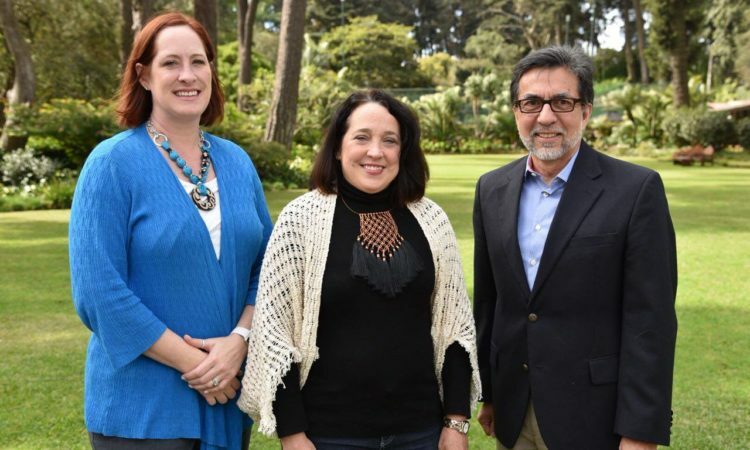 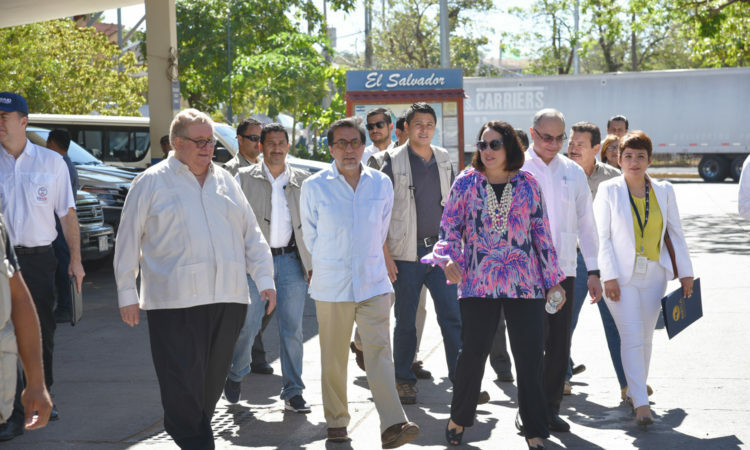 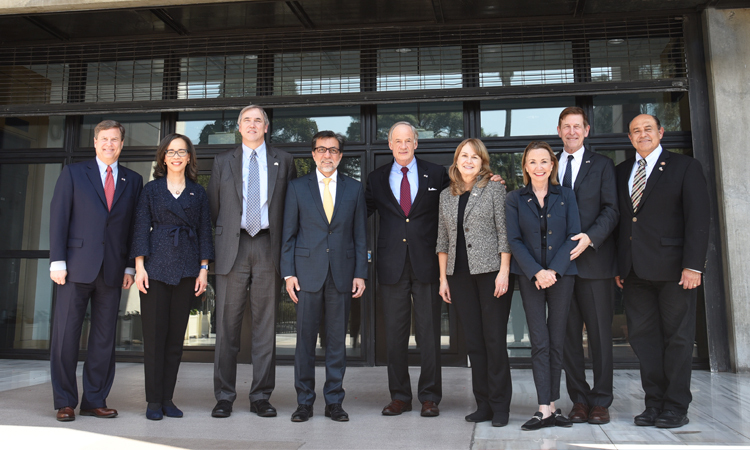 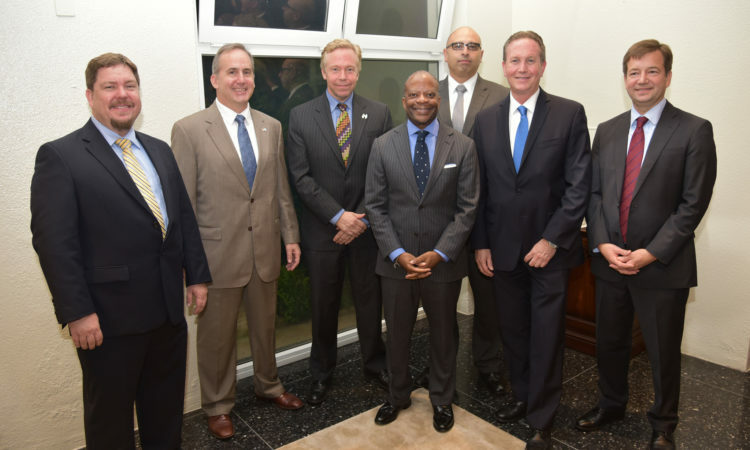 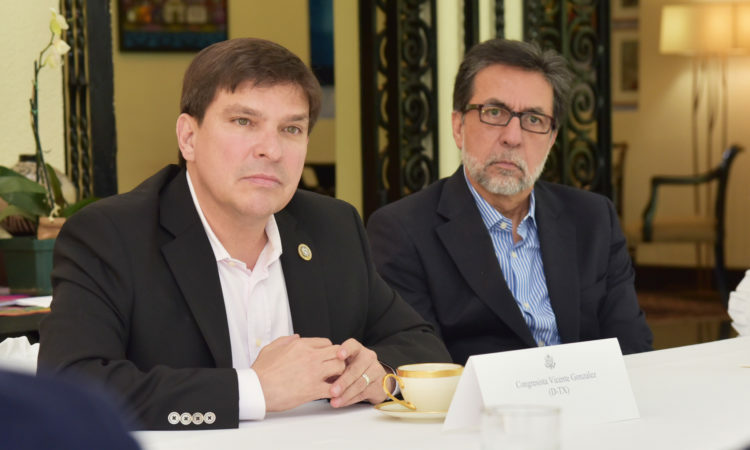 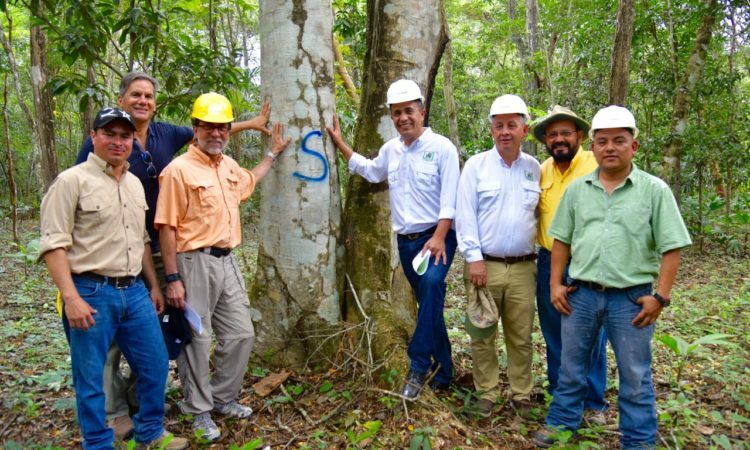 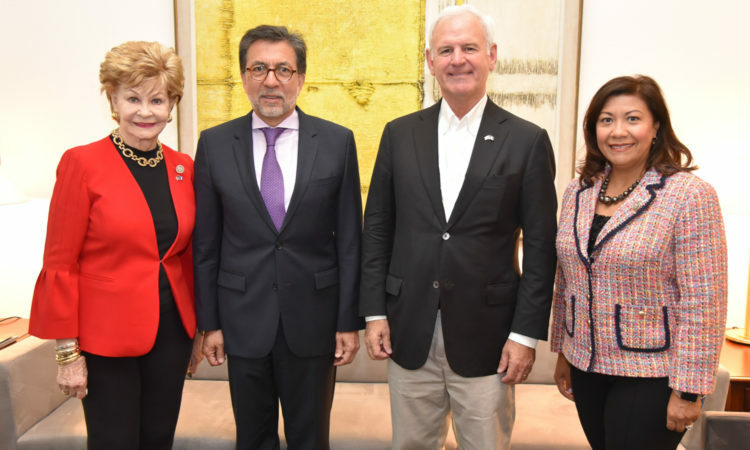 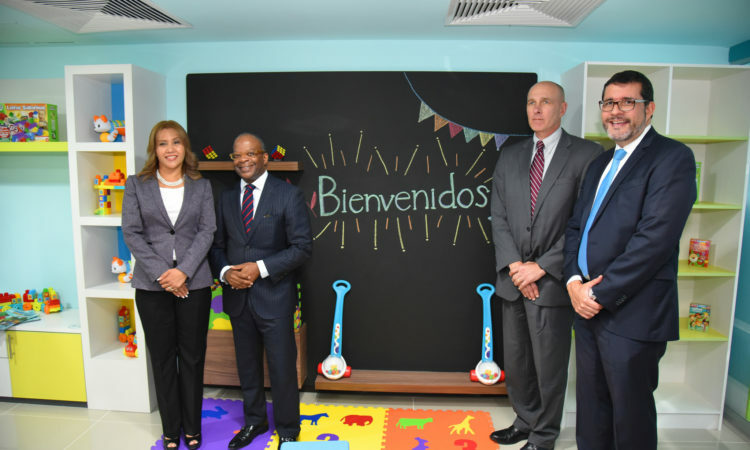 The U.S. ambassadors for Guatemala, El Salvador, and Honduras met to coordinate efforts to support the Alliance for Prosperity Plan as an initiative of the Northern Triangle governments for prosperity, citizen security, and governance in the region. 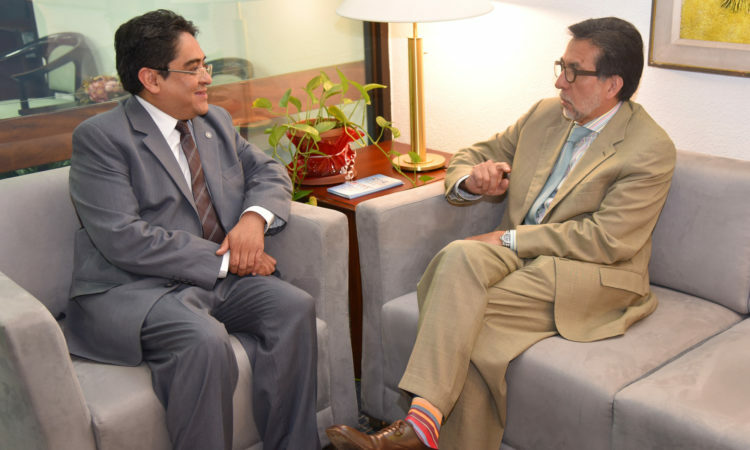 Ambassador Luis E. Arreaga met with Ambassador Carlos Manuel Pulido of Colombia to discuss joint actions that contribute to strengthening prosperity, governance, and citizen security in Guatemala. 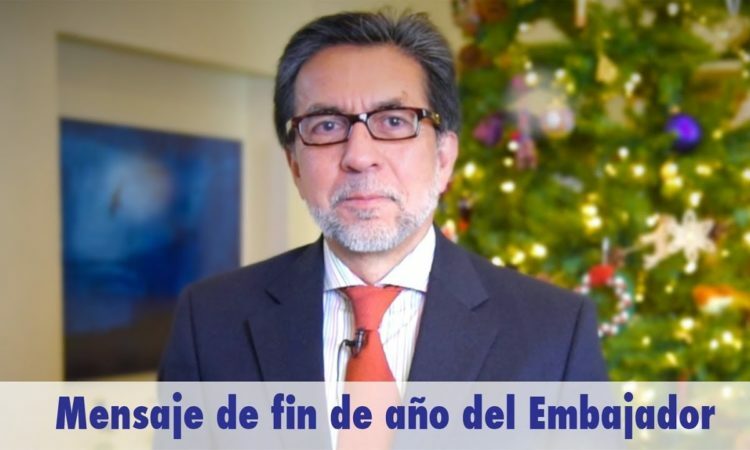 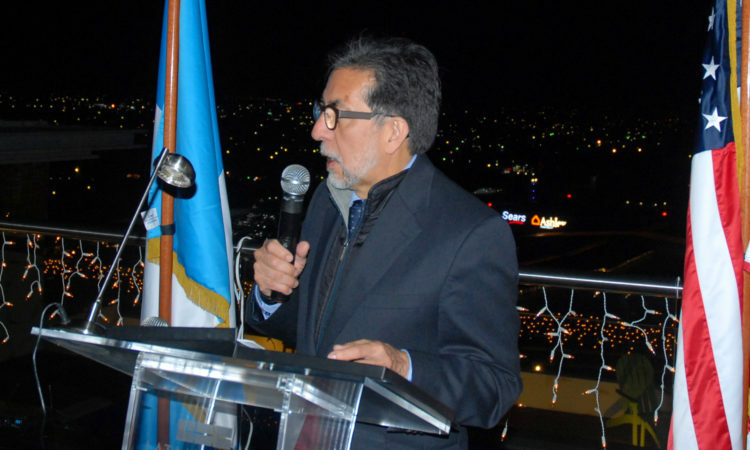 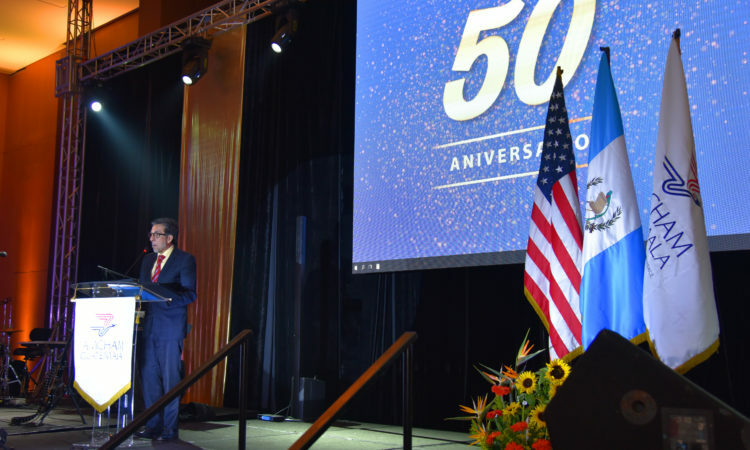 Ambassador Luis E. Arreaga shares a message with all Guatemalans (in Spanish), wishing them much prosperity for the new year. 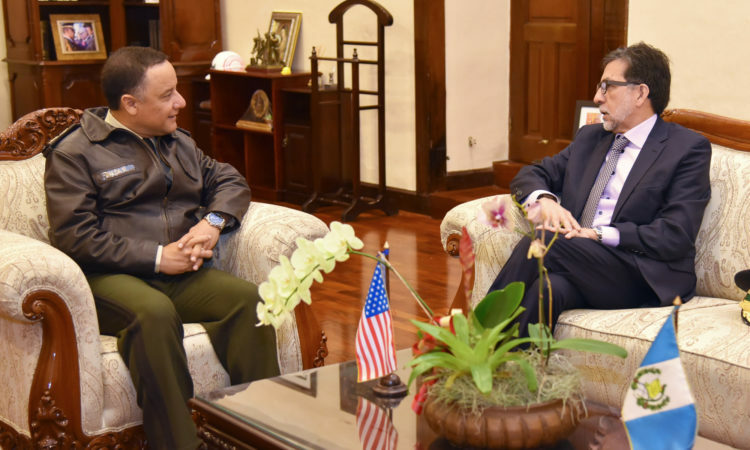 Ambassador Luis Arreaga paid a courtesy visit to the Minister of Defense, Major General Luis Ralda. 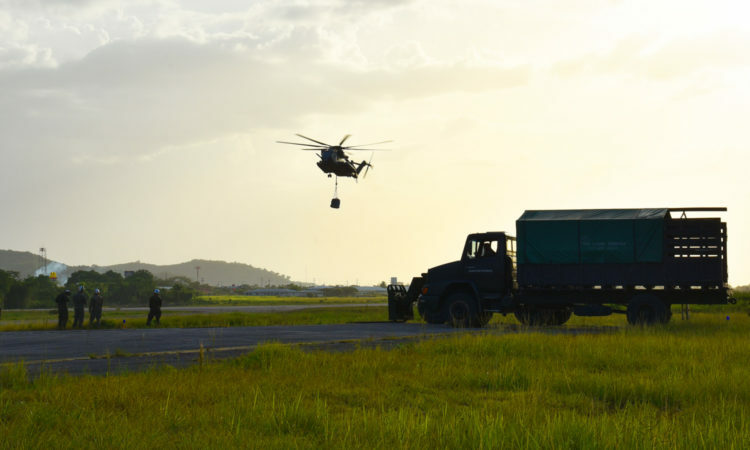 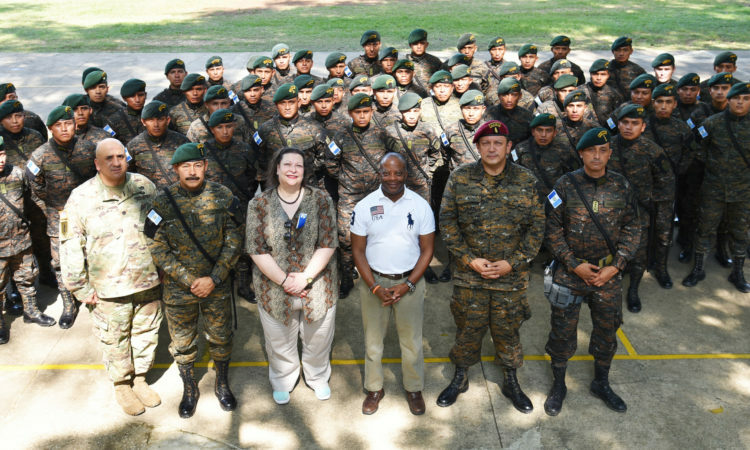 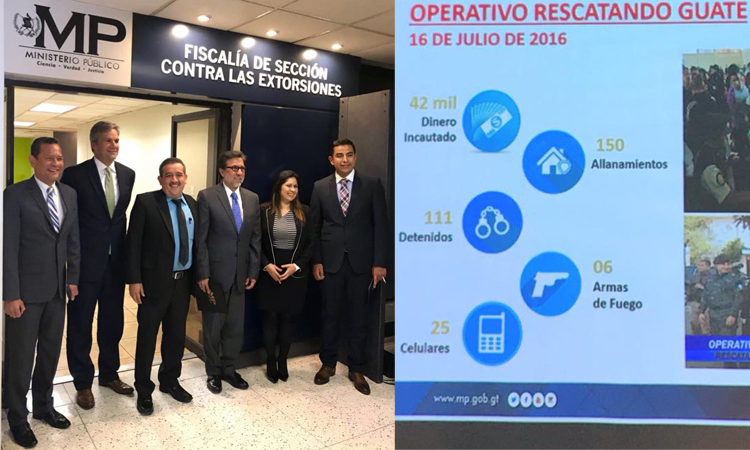 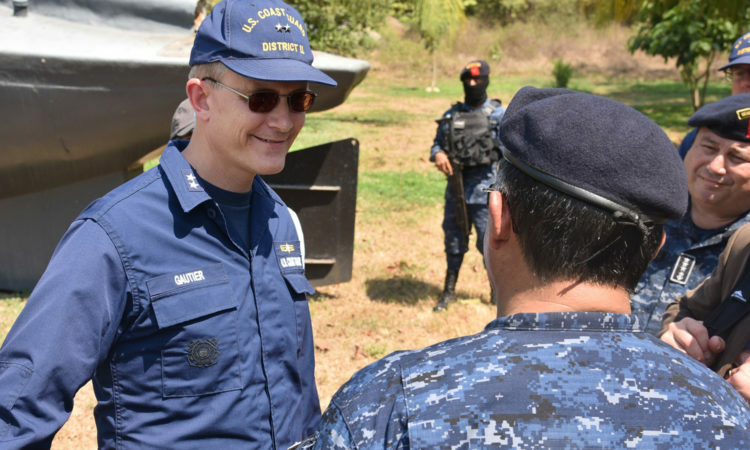 We work together with the Ministry of Defense and the Guatemalan Army to contribute to the solutions of national security and support their efforts to combat corruption and impunity that affects the reach of binational goals. 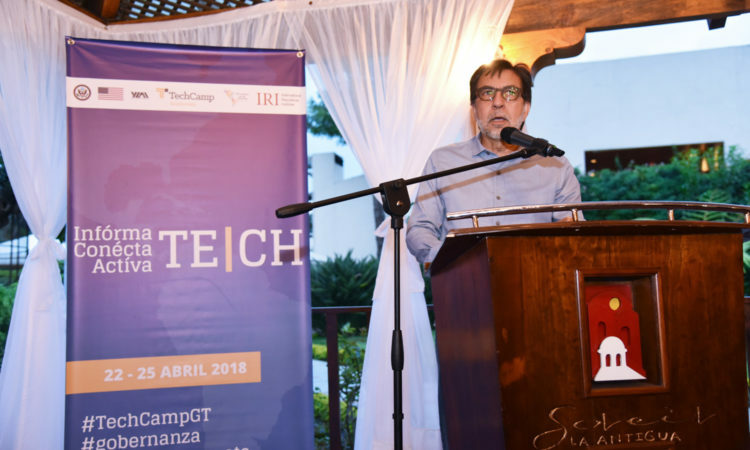 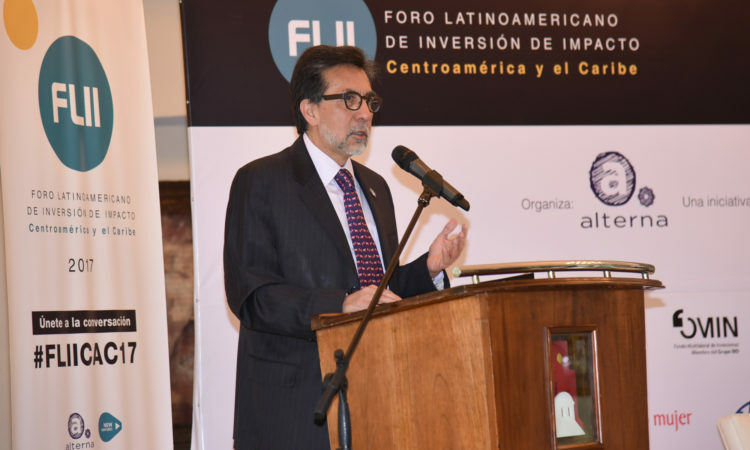 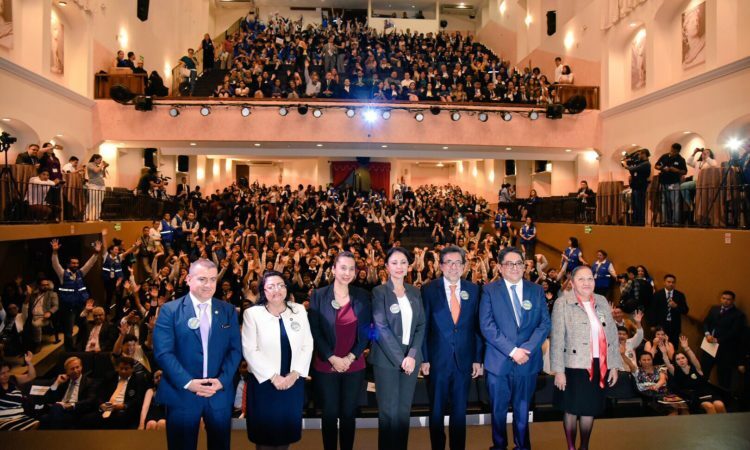 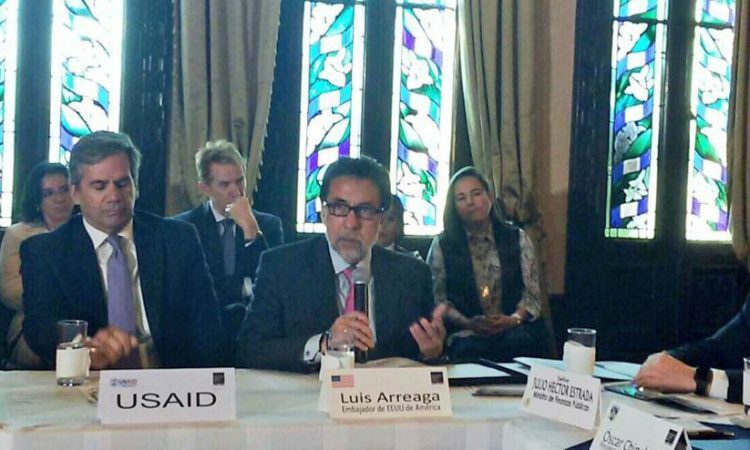 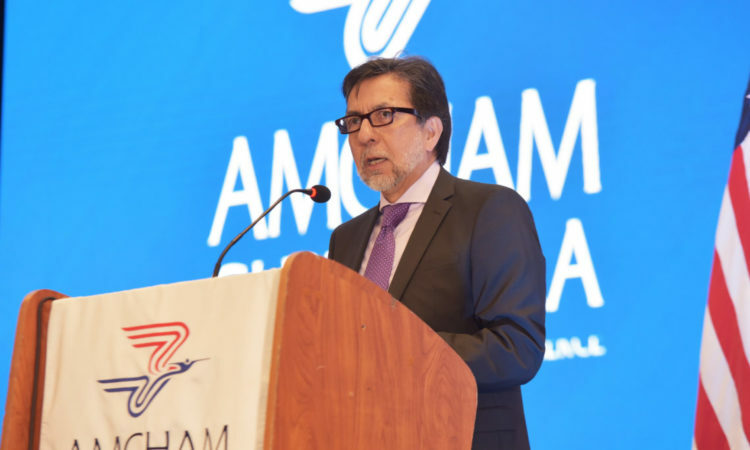 Ambassador Luis Arreaga participated in the Latin American Forum on Impact Investment in Central America and the Caribbean, in which he called on participants, including the private sector, government, universities and civil society, to join together for a more supportive Guatemala that works towards finding the solutions of common challenges to build the prosperity. 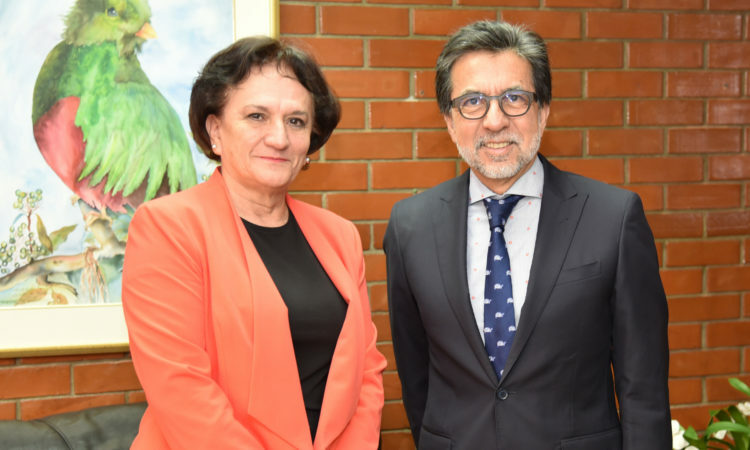 Ambassador Luis E. Arreaga paid a courtesy visit to the Solicitor General of the Nation, Anabella Morfin. 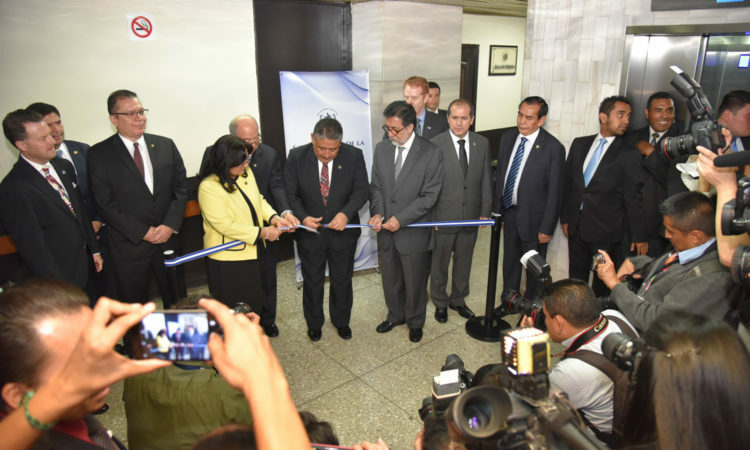 The efficiency in the resolution of high-impact cases in the country helps to give Guatemalans confidence in their institutions. 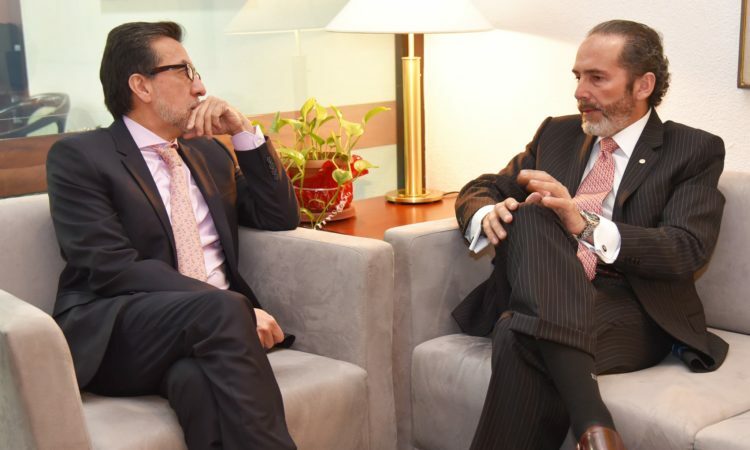 Ambassador Luis Arreaga met this afternoon with the Chief of the Superintendency of Tax Administration (SAT) Juan Francisco Solórzano in the context of a courtesy hearing. 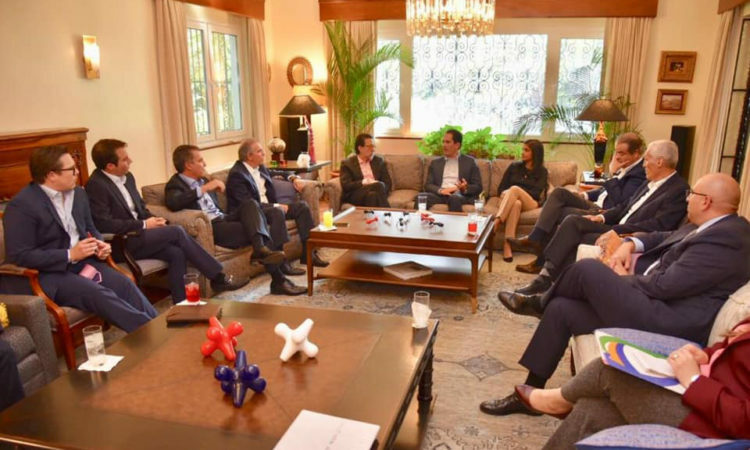 Among other issues, the officials talked about trade, customs and tax collection, as essential elements for the prosperity of the country. 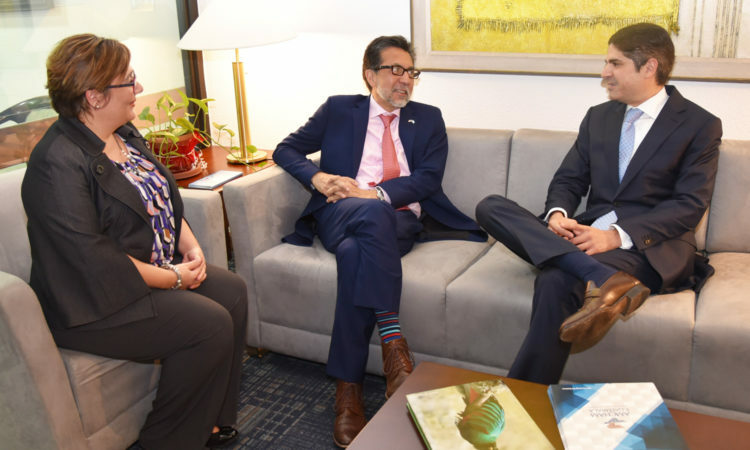 Ambassador Luis Arreaga and the Human Rights Ombudsman, Jordán Rodas, had the opportunity to meet this afternoon at the Embassy. 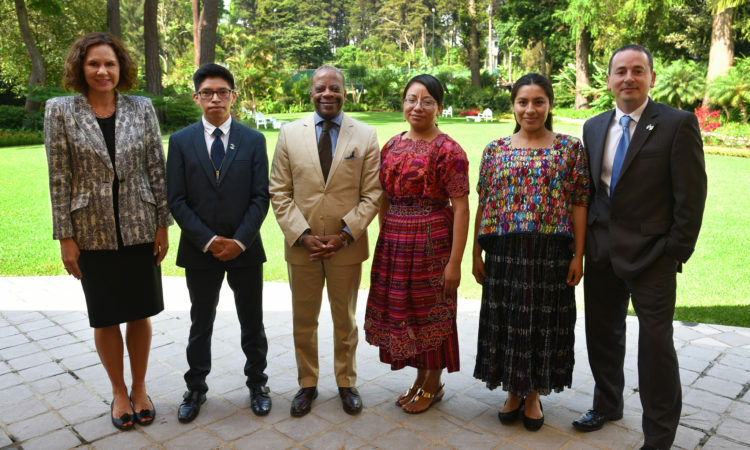 The officials discussed the continued support for the institutions that protect the fundamental rights of all Guatemalans. 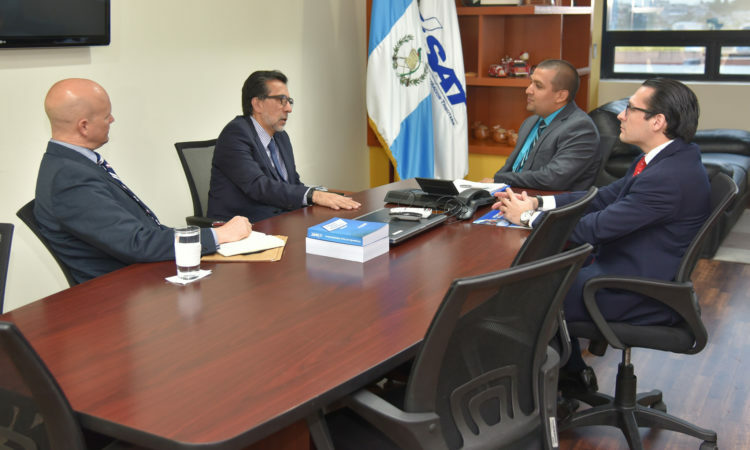 Ambassador Luis Arreaga visited the Supreme Court of Justice to meet with the president of said institution Nery Medina. 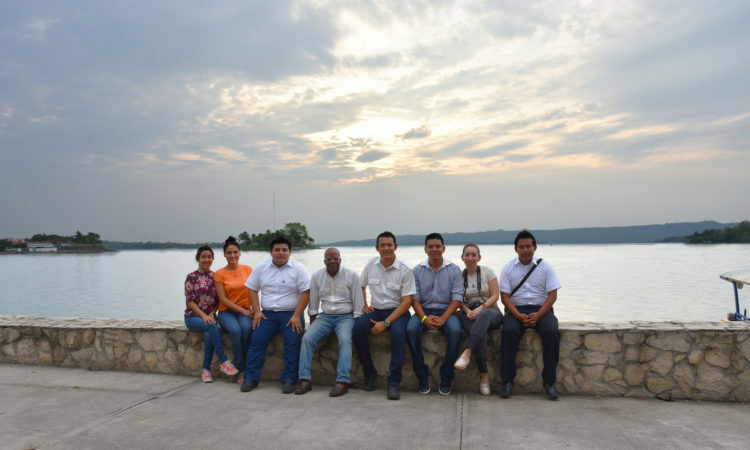 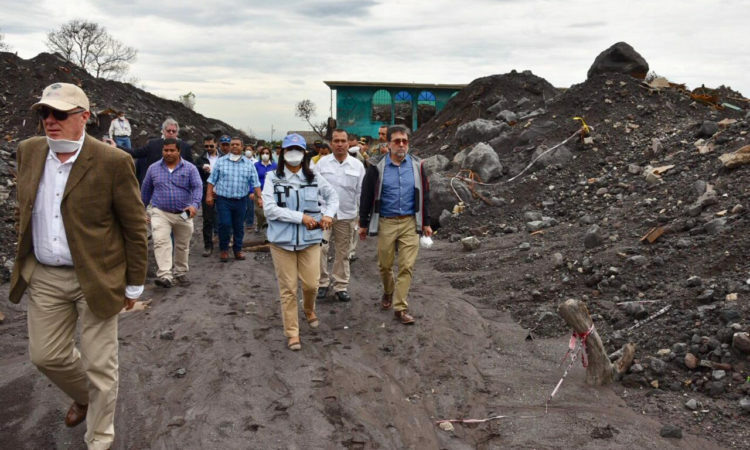 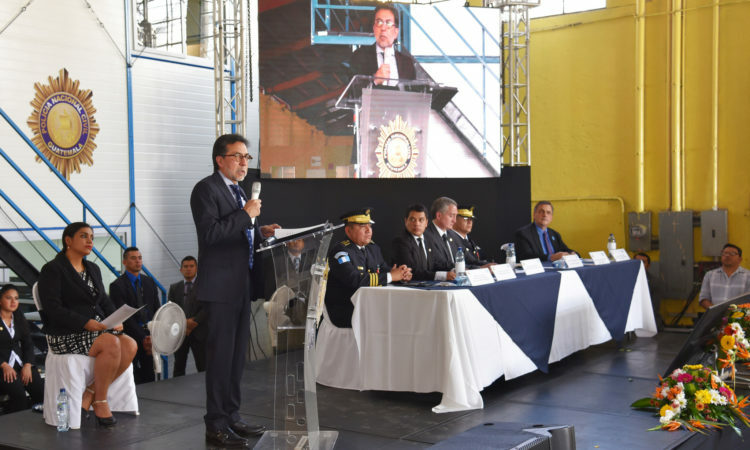 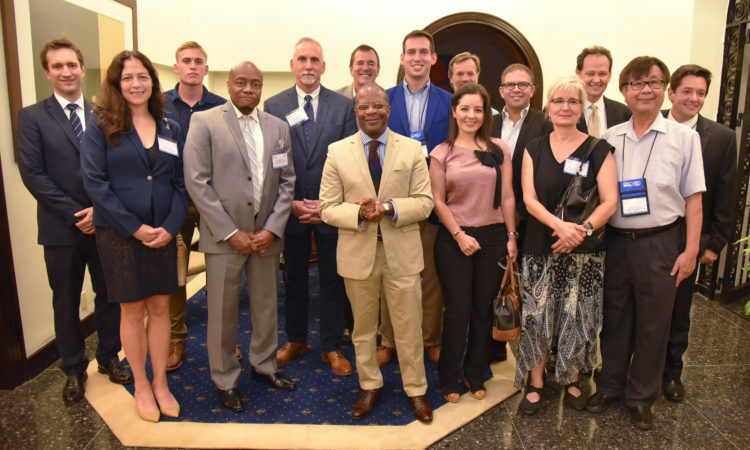 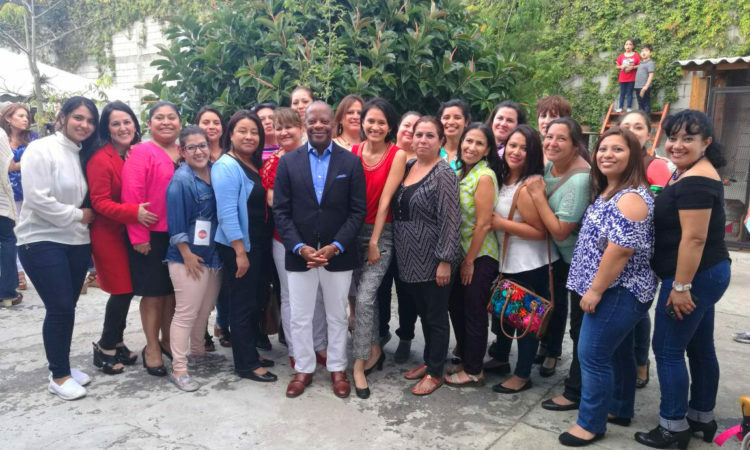 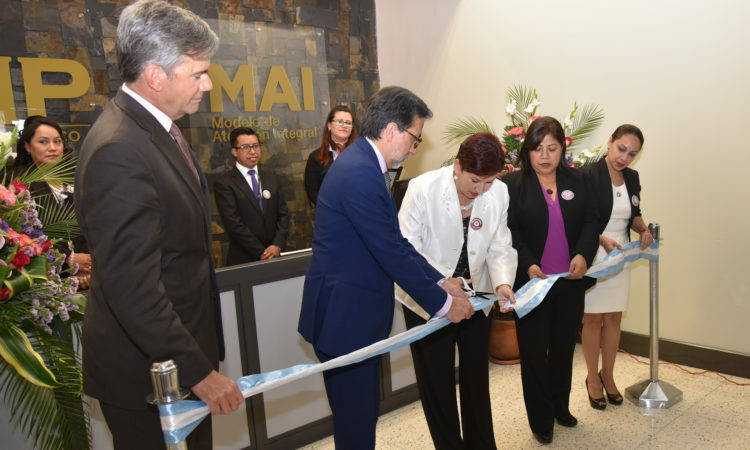 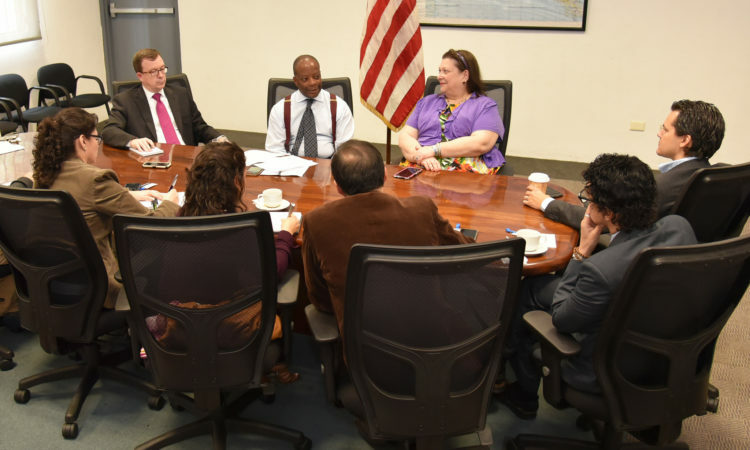 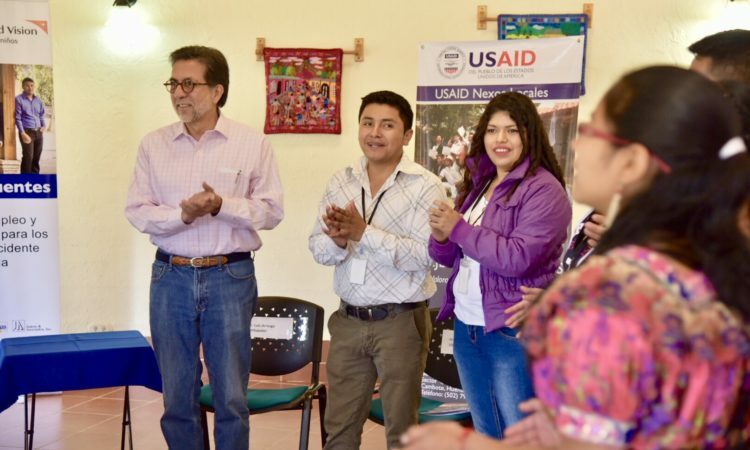 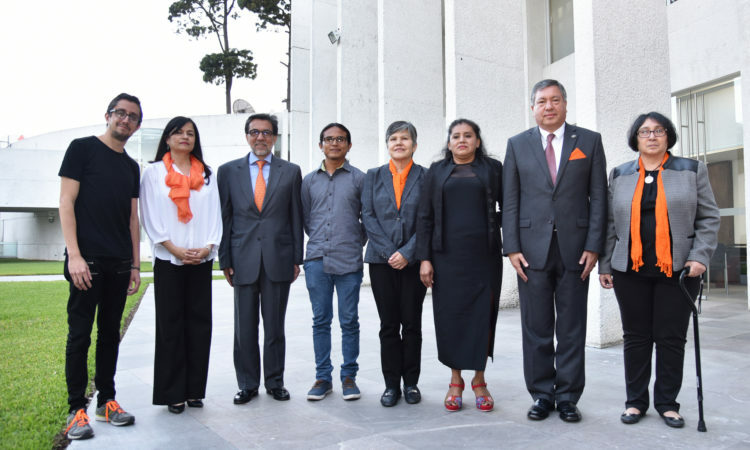 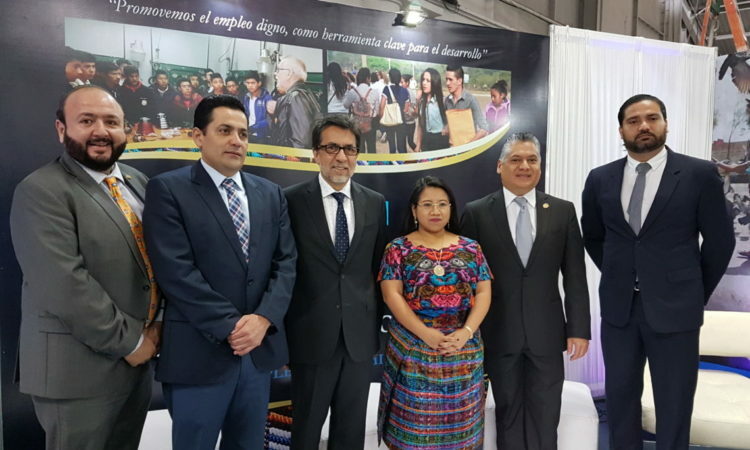 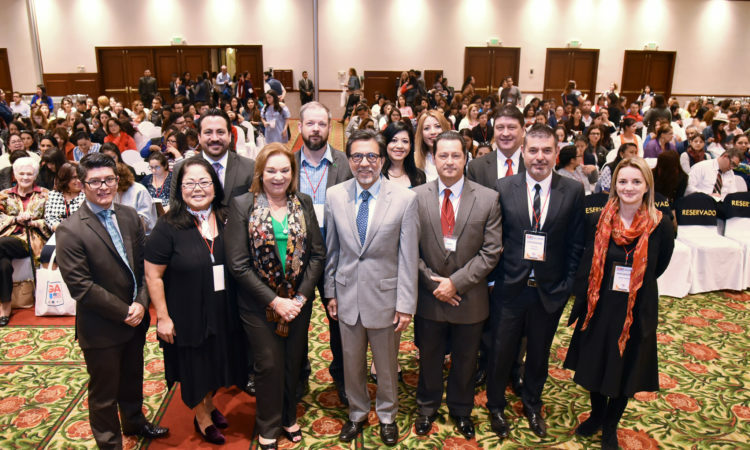 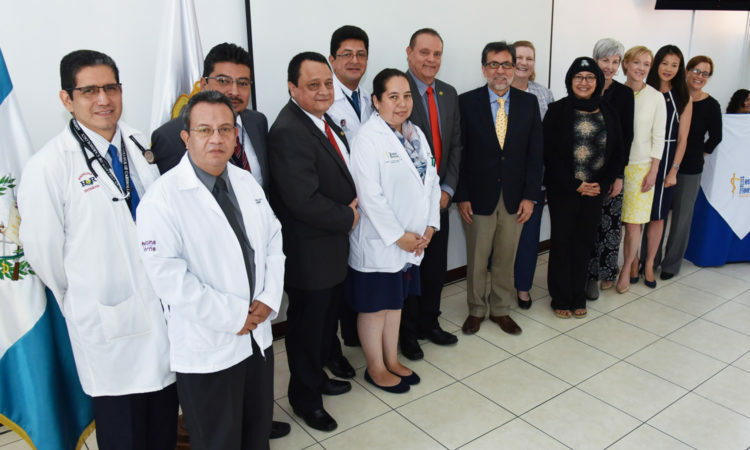 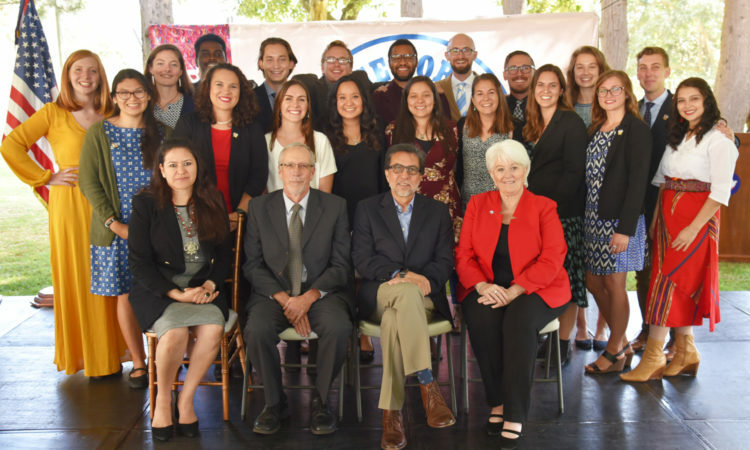 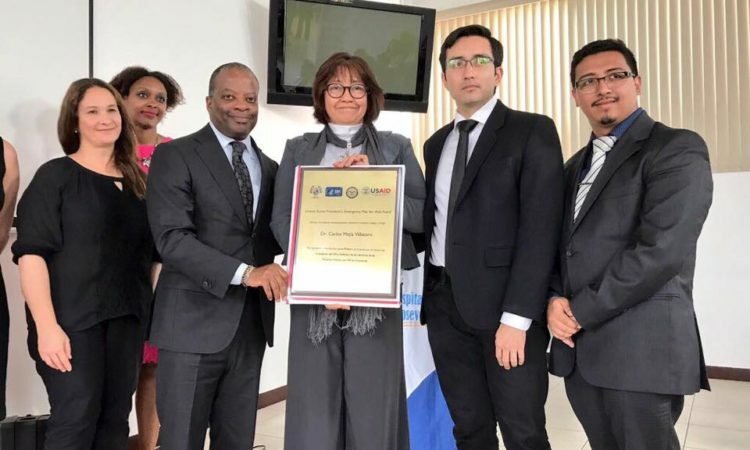 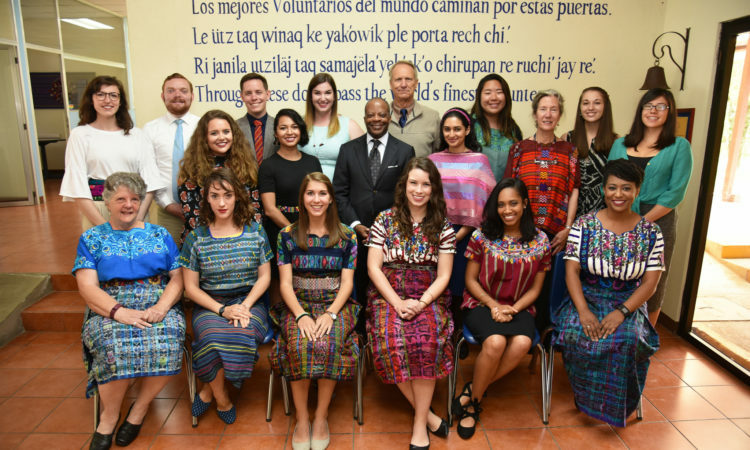 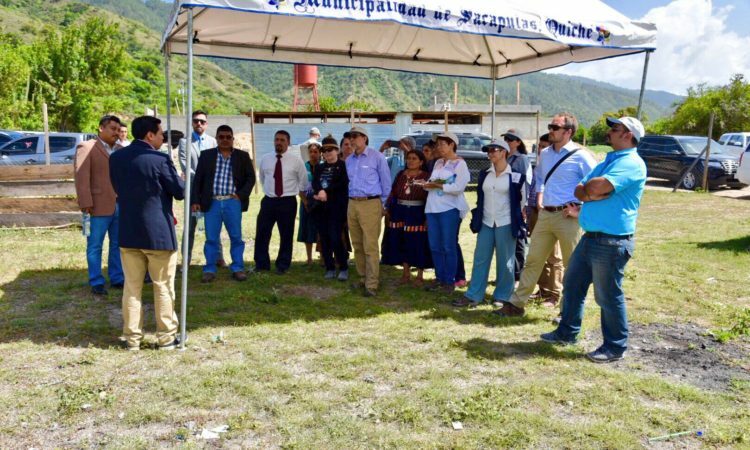 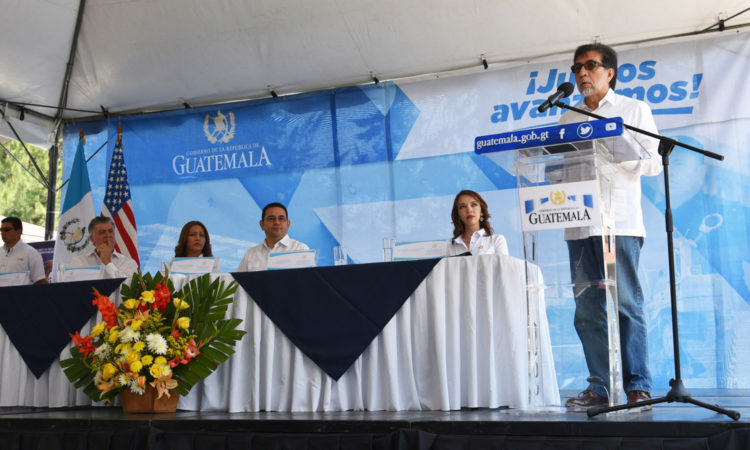 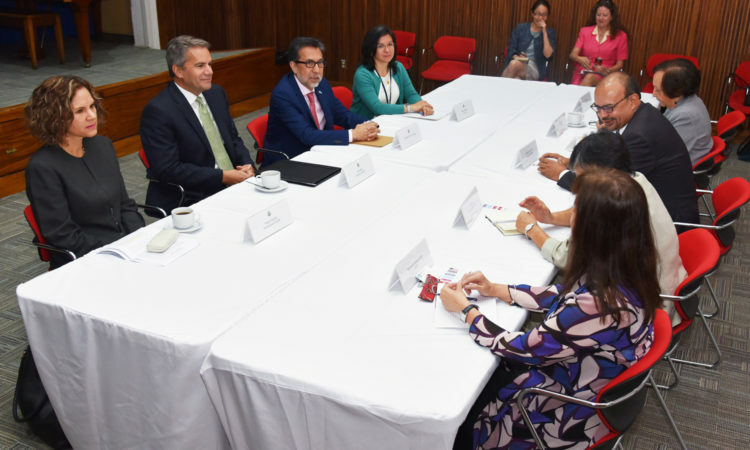 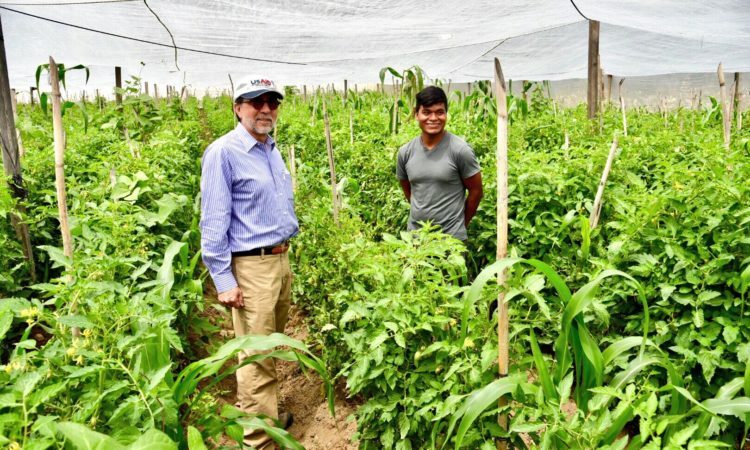 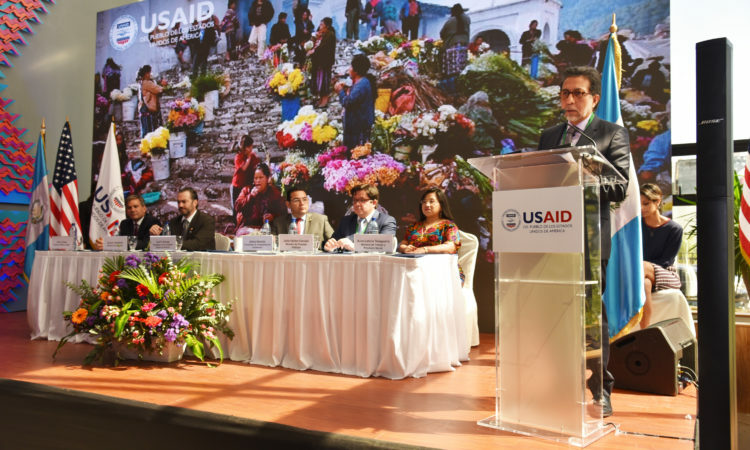 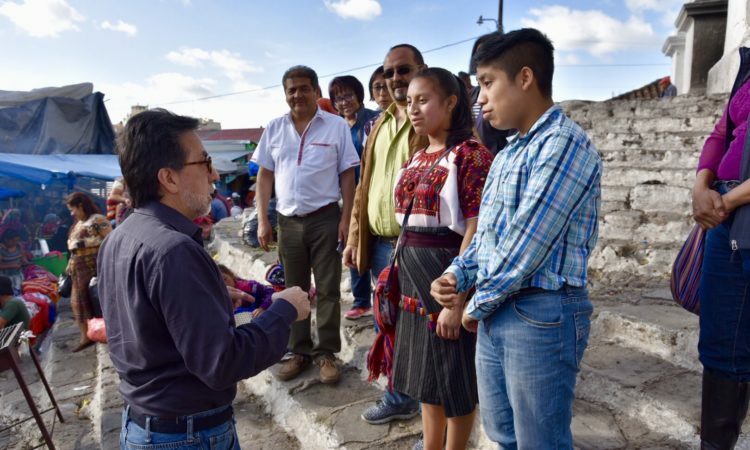 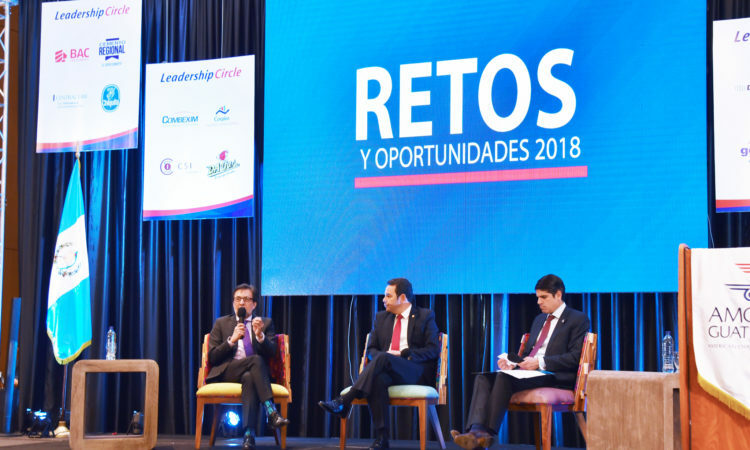 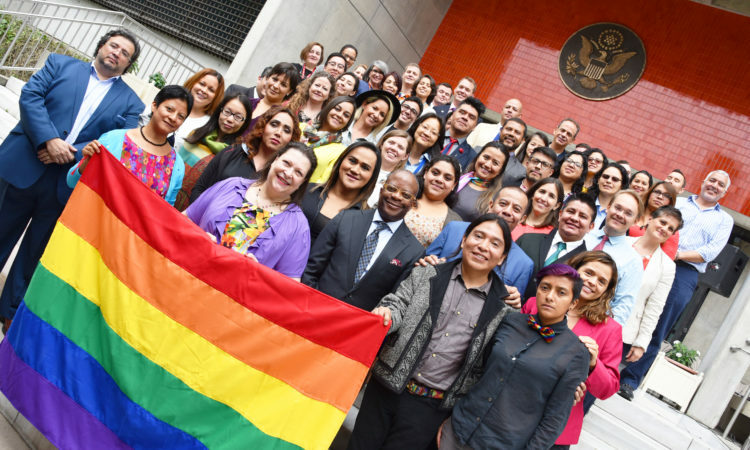 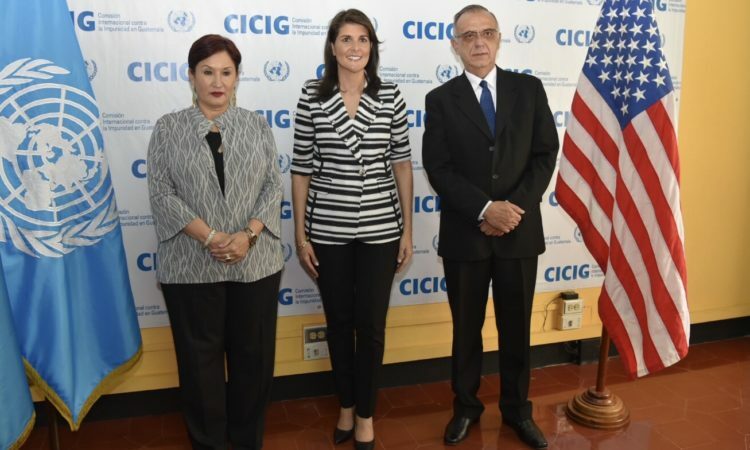 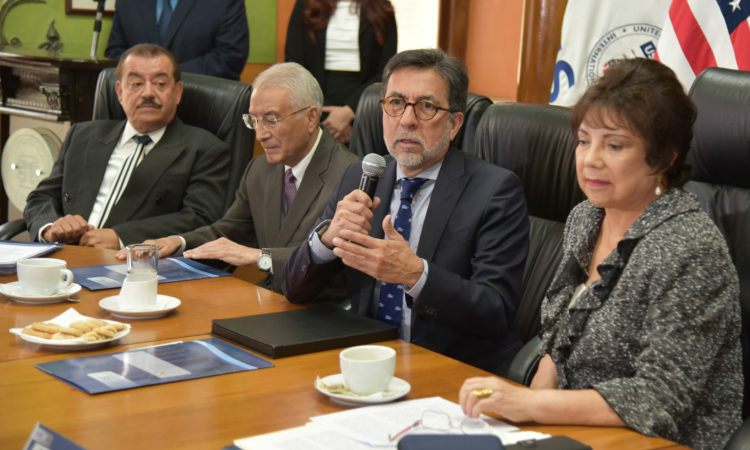 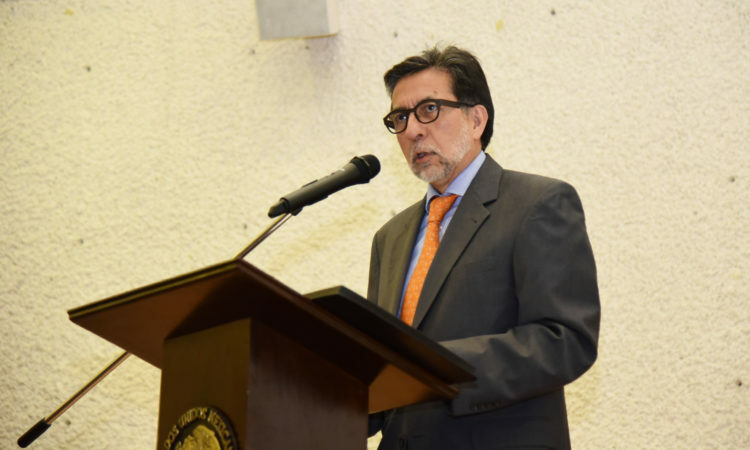 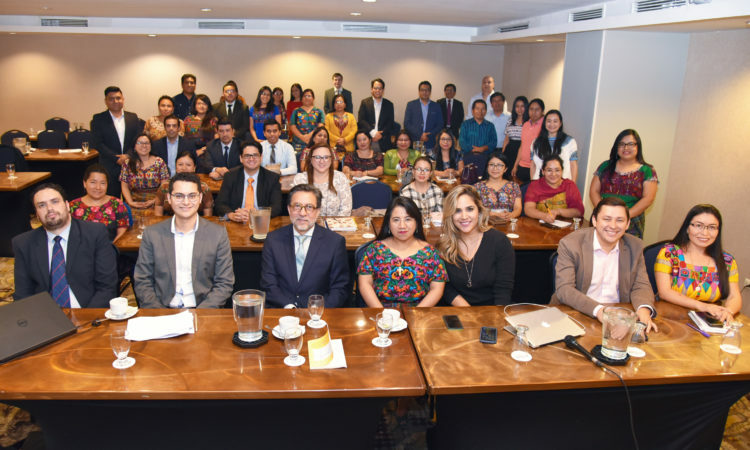 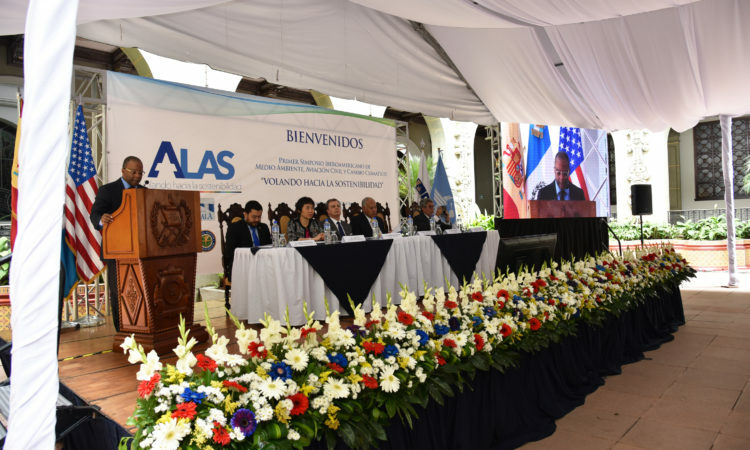 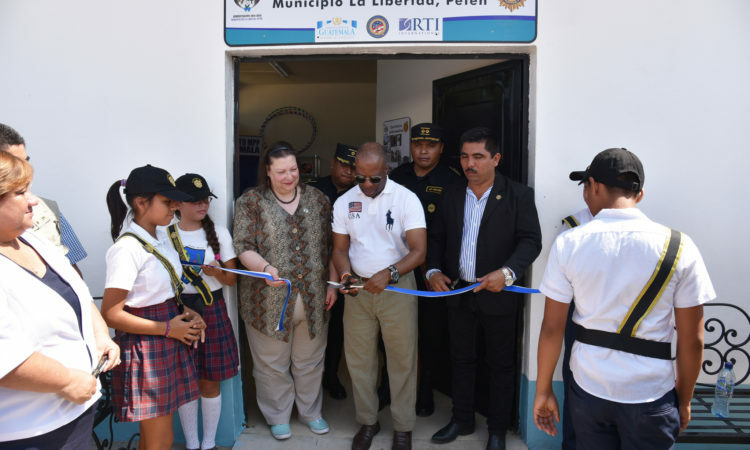 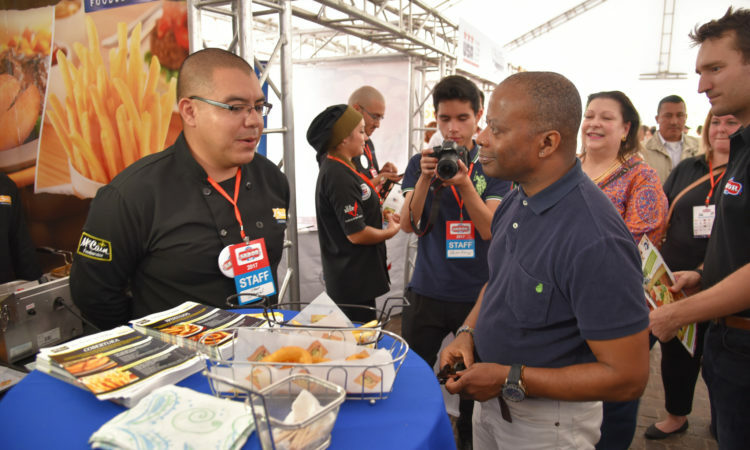 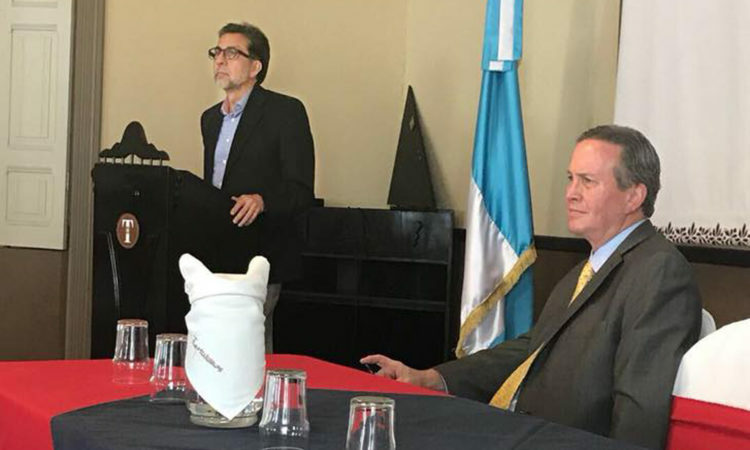 Officials talked about joint efforts to continue working on strengthening justice institutions so that Guatemalans have access to a transparent, autonomous and agile system. 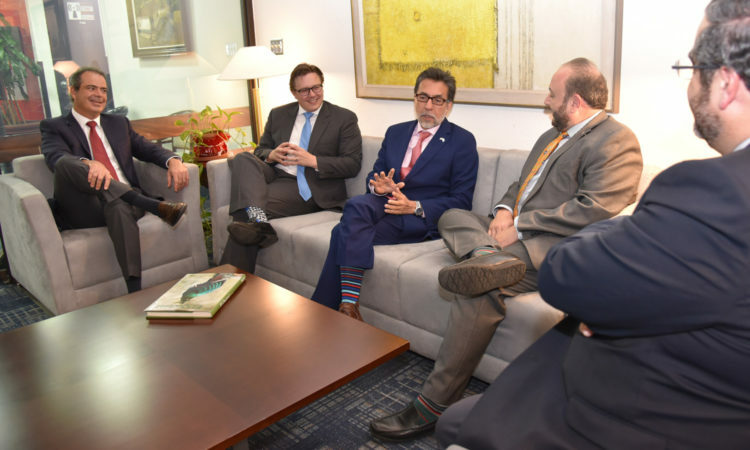 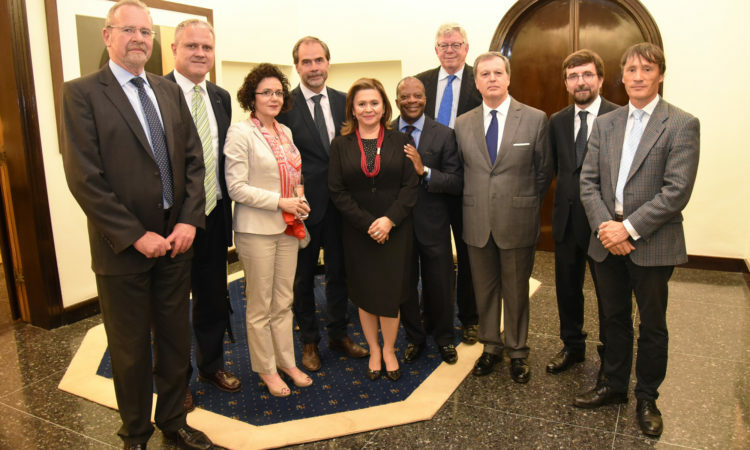 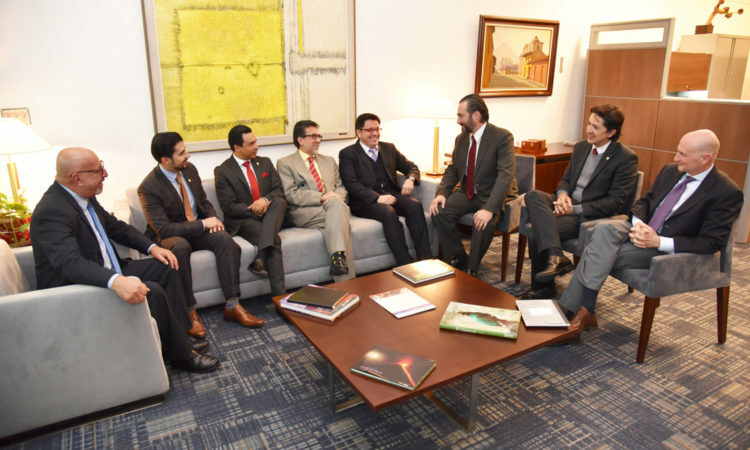 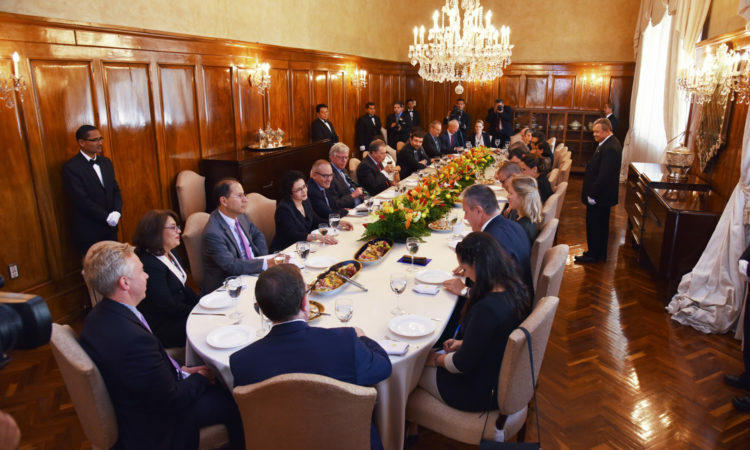 Guatemala’s President Jimmy Morales and the G13 Donor Group, including Ambassador Luis E. Arreaga, met to discuss cooperation between the international community and Guatemala in the fight against corruption and impunity. 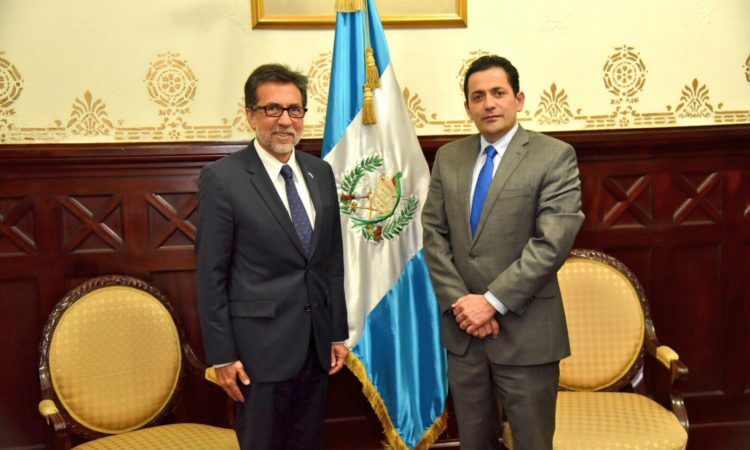 Ambassador Luis E. Arreaga met with the President of the Guatemalan Congress, Oscar Chinchilla, for an official visit where they discussed the important work of legislators to promote an Open Government. 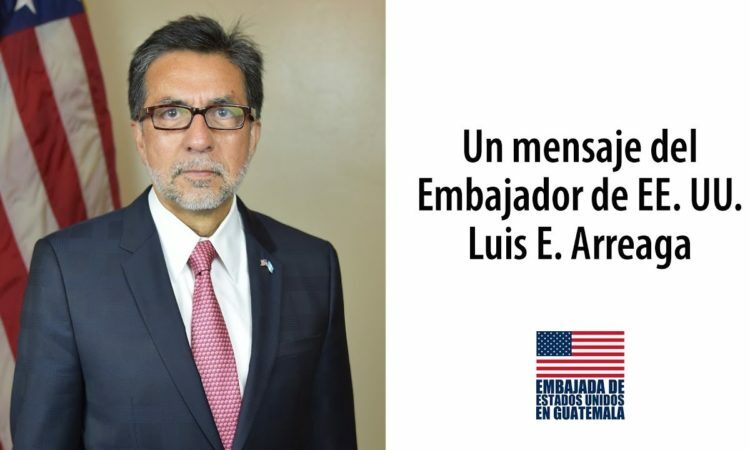 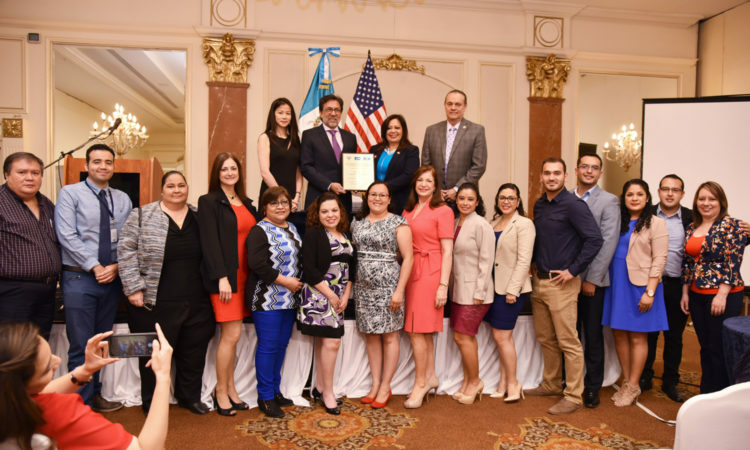 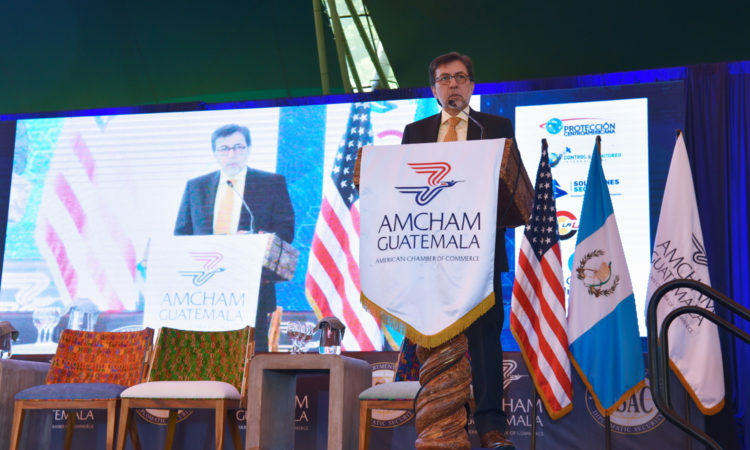 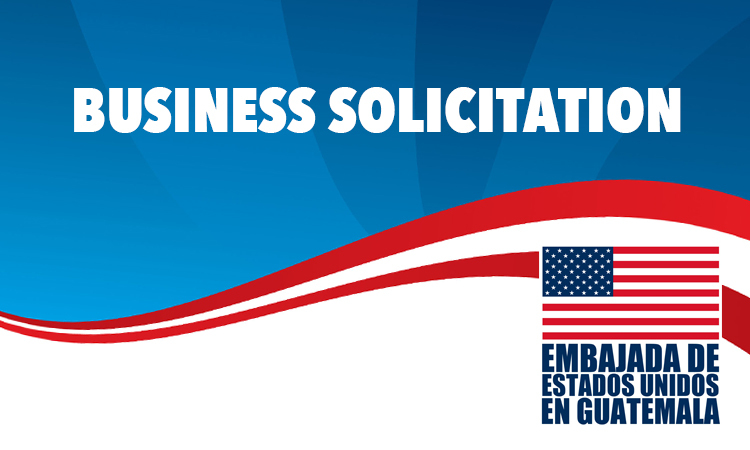 Ambassador Luis Arreaga was officially accredited as the United States representative in Guatemala by the President of the Government of Guatemala, Jimmy Morales. 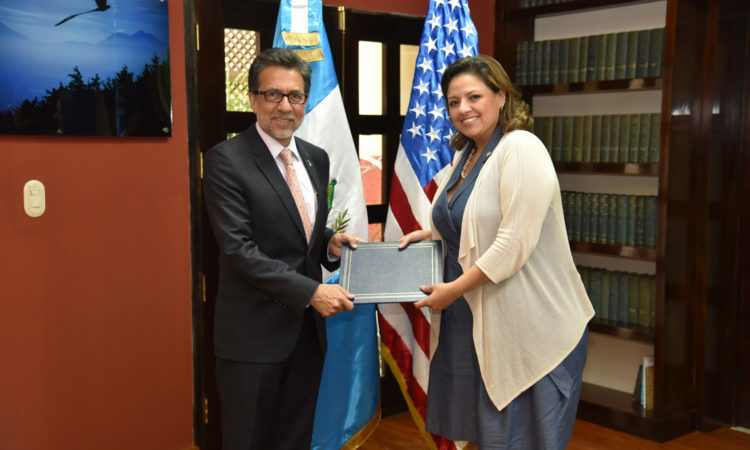 Designated Ambassador Luis E. Arreaga presented his Style Letters to Minister Sandra Jovel of the Ministry of Foreign Affairs of Guatemala. 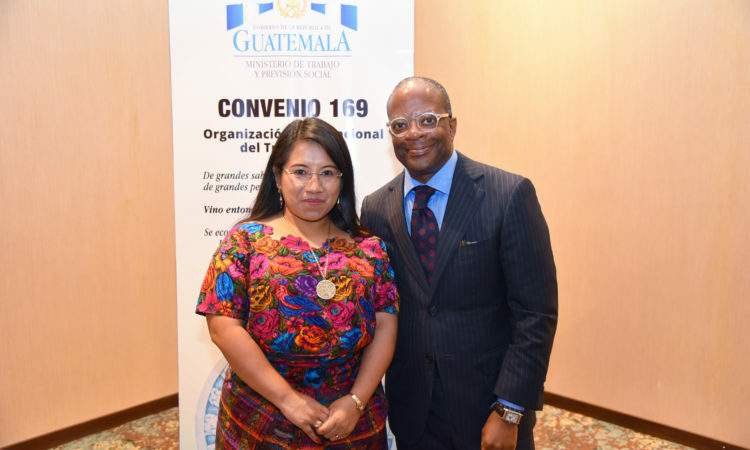 Ambassador Todd Robinson participated in the presentation of Convention 169 of the International Labor Organization. 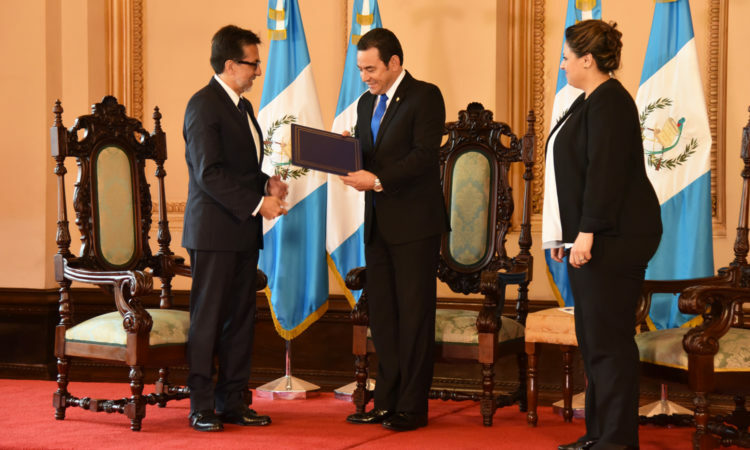 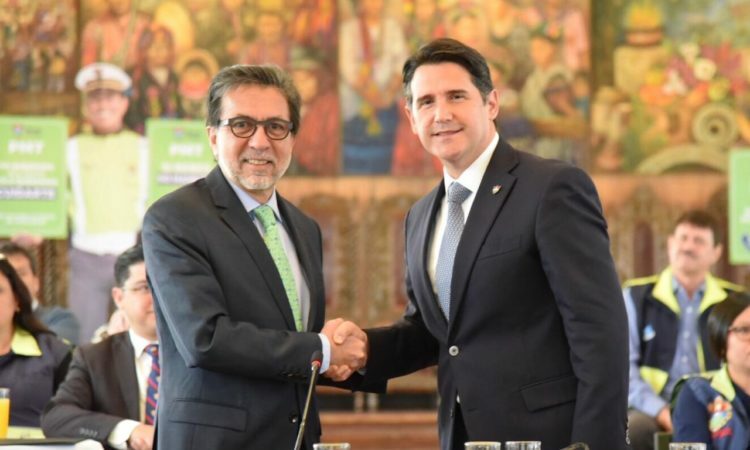 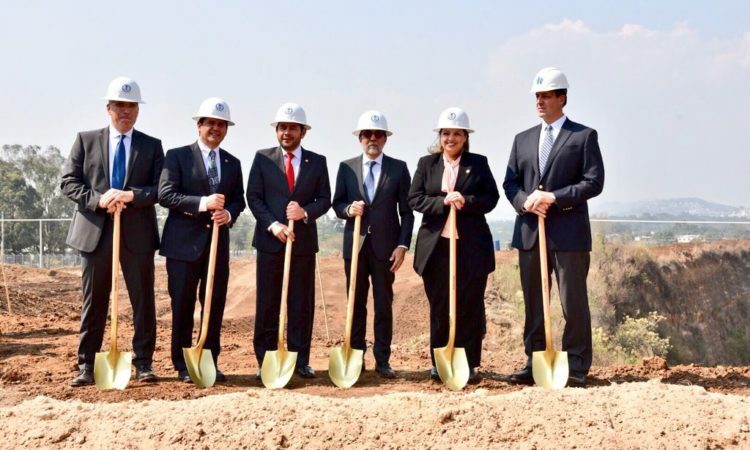 This agreement contributes to Guatemala’s prosperity and governance by fostering dialogue, respect, and mutual understanding between different sectors. 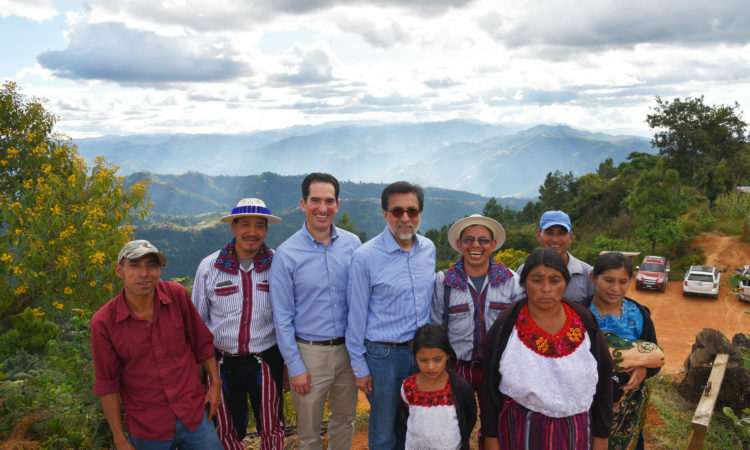 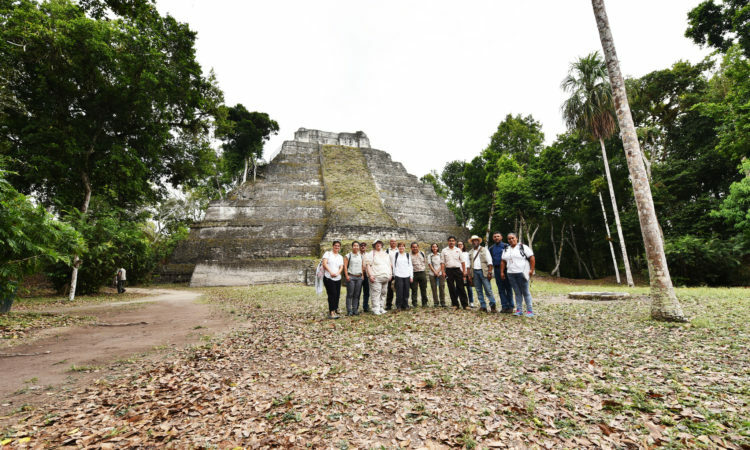 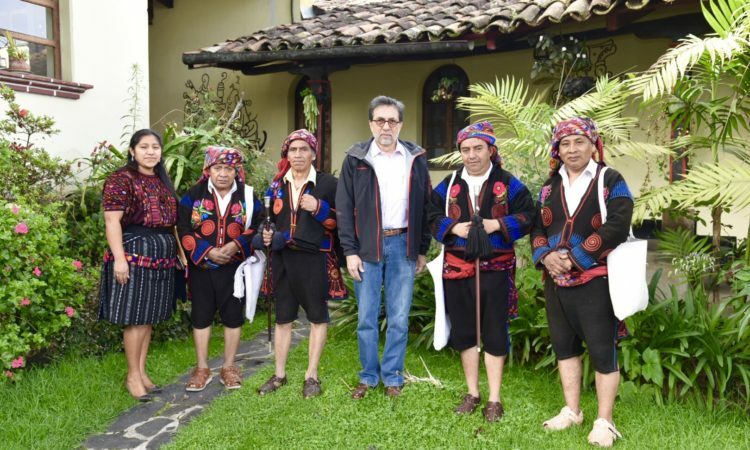 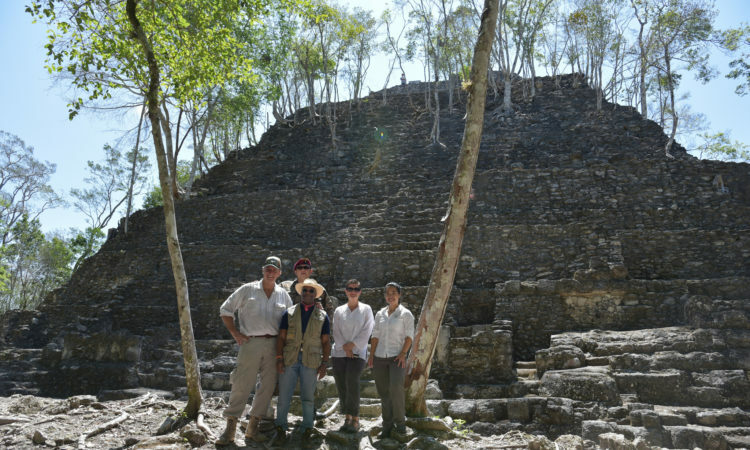 Indigenous peoples and the private sector should work together with the Government of Guatemala as a facilitator.